During the early Qing dynasty the frontiers of northern domains extended far beyond those previously limited by the Great Wall. As a result the Ming Great Wall languished and fell into gradual obsolescence as the Manchus incorporated what is modern Mongolia and the Tarim Basin into their rule. 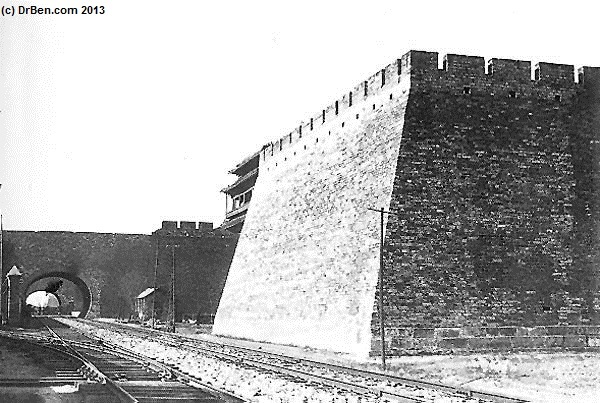 However the defensive arrangements around Beijing remained the most extensive fortifications anywhere in the empire. Beijing, the political, cultural, military, and commercial centre of the empire, was the capital city of the last three dynasties of China. 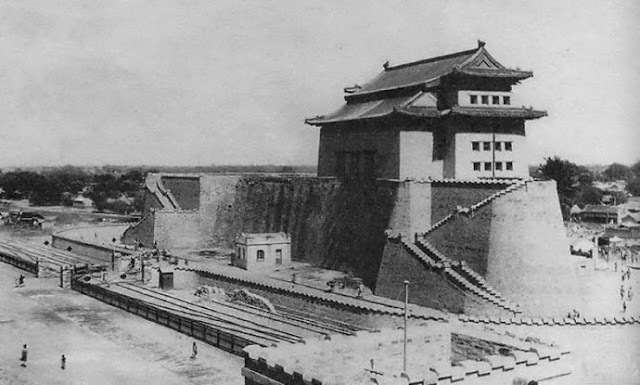 In this process of continuing and improving upon the construction and planning traditions of earlier dynasties, the construction of the fortification system borrowed ideas from Dadu of the Yuan era and Nanjing of the Ming era. 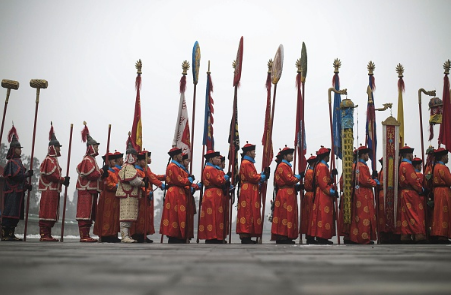 Although various Chinese polities have fell into prey to foriegn powers, out of the dozens of engagements fought across 500 years Beijing was breached twice in battle. 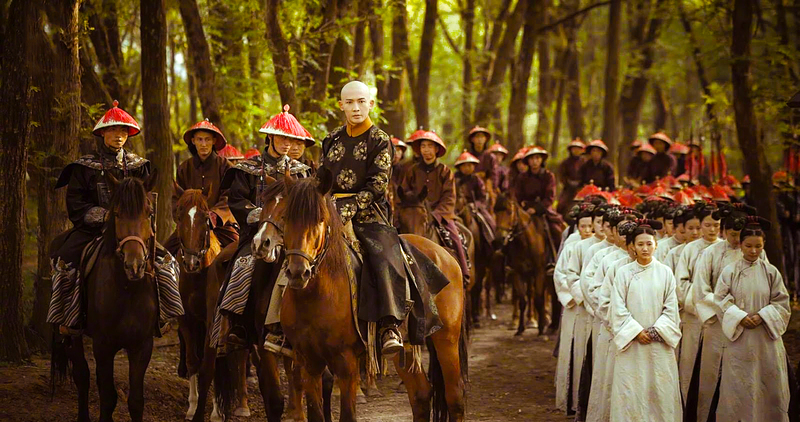 Remember, the Ming citizendry of Beijing opened the gates to let the Manchus enter. 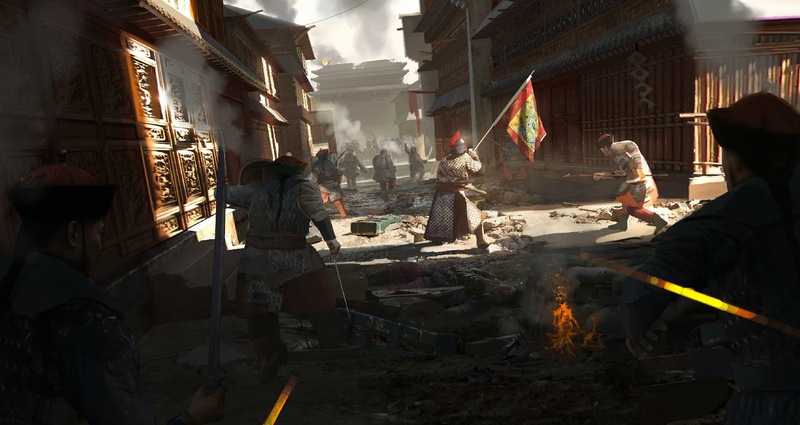 Beijing's Inner city came under siege many times; for example, the invasions of Anda Khan and Houjin during the Ming dynasty and the Boxer Rebellion and Eight-Nations Alliance attack during the Qing dynasty. All but the Eight-Nations Alliance were successfully defended against. 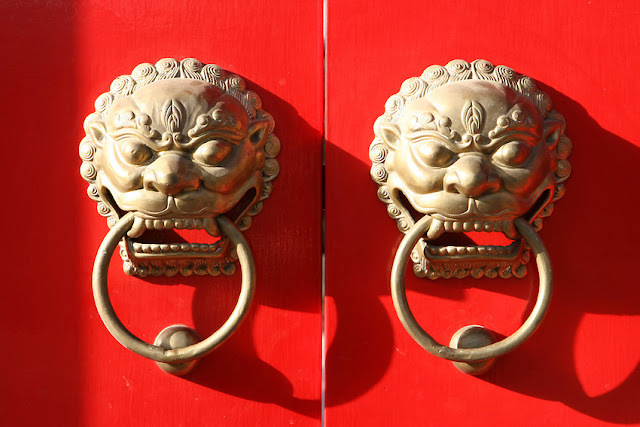 Just know that before you read on, any name with 门 "men" at the end means "Gate." 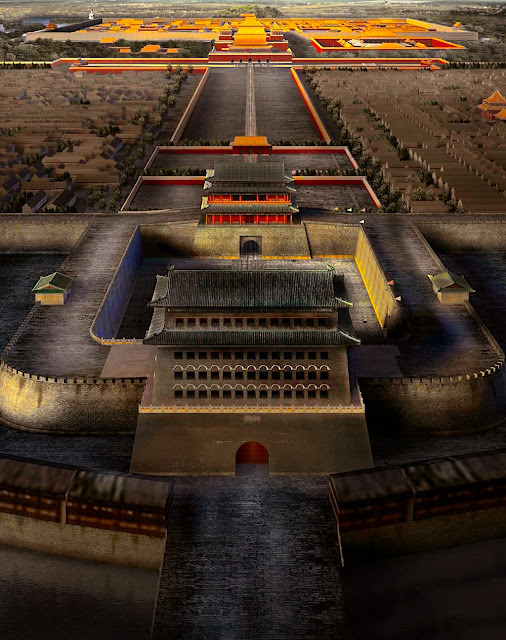 The 9 Gates of Inner Beijing were mammoth medieval structures, vertically comparable to medieval European castles and horizontally many would have been the size of giant 18th century warships. 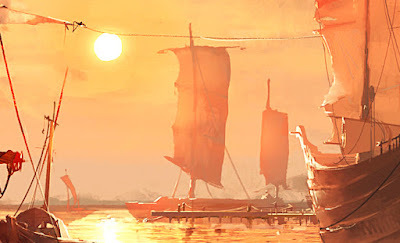 In fact, if we look at some of these watchtowers, the size of which would be comparable to an 10-13 story tall modern apartment and see how many would have rows upon rows of square gun/ arrow slits from where a red lacquered pane could be raised and arrows fired out, they practically looked like the broadside of a cannon filled warship. They were all unique. 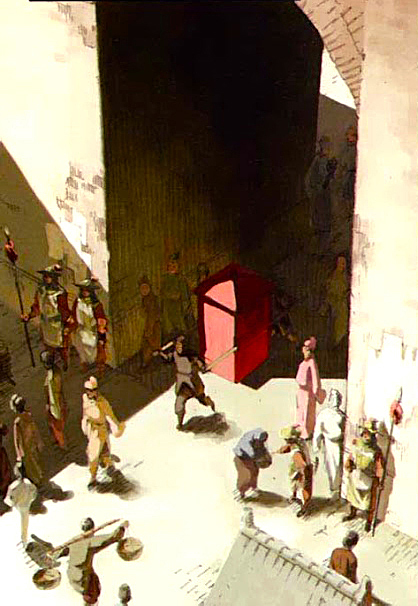 Nearly all of them consisted of an official gate, then another watchtower gate in front of it designed to shower foes with arrows. The watchtowers were connected to both the inner walls and outer walls by a barbican. Nearly all were the size of track fields. 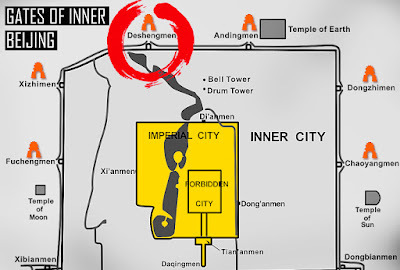 The barbicans of Dongzhimen or Xizhimen were square; the ones at Zhengyangmen and Deshengmen were rectangular; at Dongbianmen and Xibianmen they were semicircular. 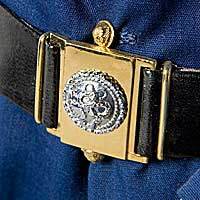 Most of the Inner city barbicans had rounded corners, which provided better sight lines and were more difficult to climb or destroy. Each Inner city barbican also had a unique design. 正阳门 (Lit. Gate of the Zenith Sun) the watchtower at Zhengyangmen was 38 metres high, 52 metres wide, and 32 metres deep, constructed on a raised platform 12 metres high. 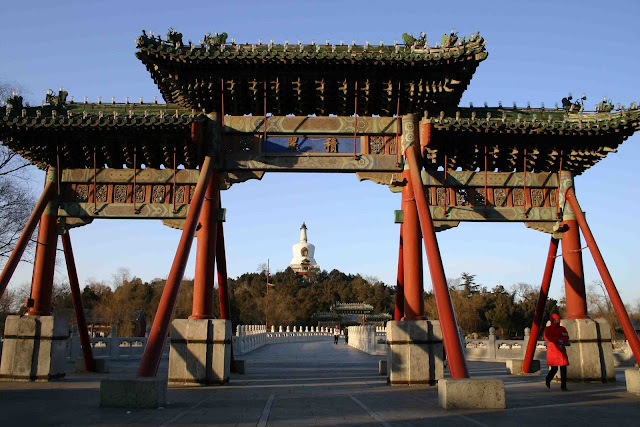 This gate, named "Qianmen", meaning "Front Gate" was for the exclusive use of the emperor. The gate is situated to the south of Tiananmen Square and once guarded the southern entry into the Inner City. Zhengyangmen was first built in 1419 during the Ming dynasty and once consisted of the gatehouse proper and an archery tower, which were connected by side walls and together with side gates, formed a large barbican. 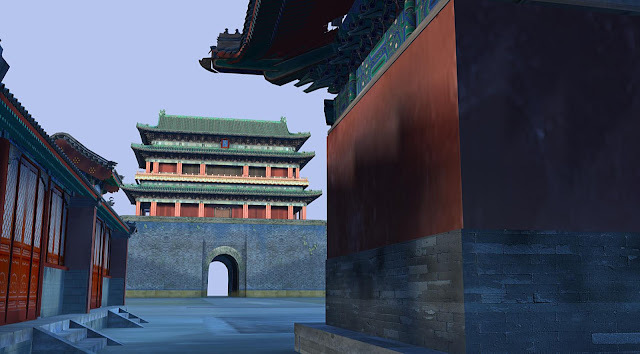 The gate guarded the direct entry into the imperial city. It was constructed in the triple-eaved Xieshanding style, with green glazed tiles. 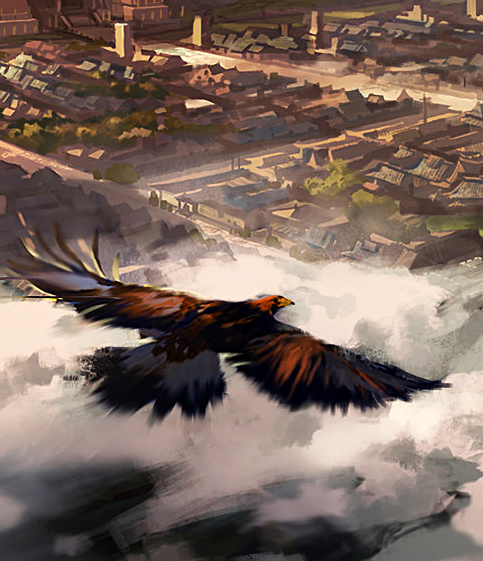 The overall height was 27.76 metres. The gate had rooms on two levels, with seven exterior rooms 41 metres wide and three interior rooms 21 metres wide. Directly to the south was the watchtower, commonly known as "Qianmen"; it was seven rooms wide. Each floor had 13 arrow slits (the other Inner city watchtowers all had 12 arrow slits per floor). Additional towers in the rear had four arrow slits on the southern sides of their upper floors. The eastern and western sides had four floors with four arrow slits on each floor. 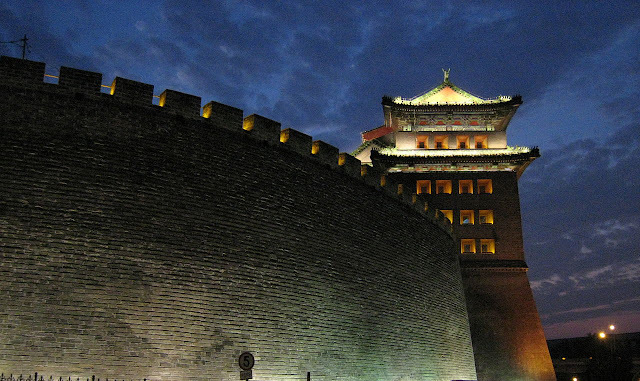 The watchtowers and gate towers were connected with thick brick walls to form the Zhengyangmen barbican, 108 metres wide and 85 metres deep. 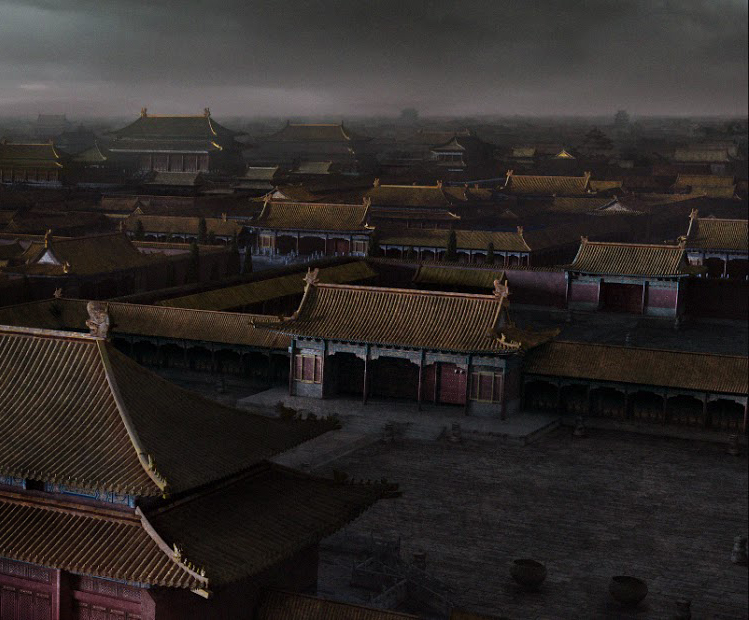 The eastern and western ends had side gates with arches fitted with thousand-jin (approximately 500 kilograms) locks. Normally the watchtower gate and the eastern side gate were closed; commoners used the arch underneath the western side gate. 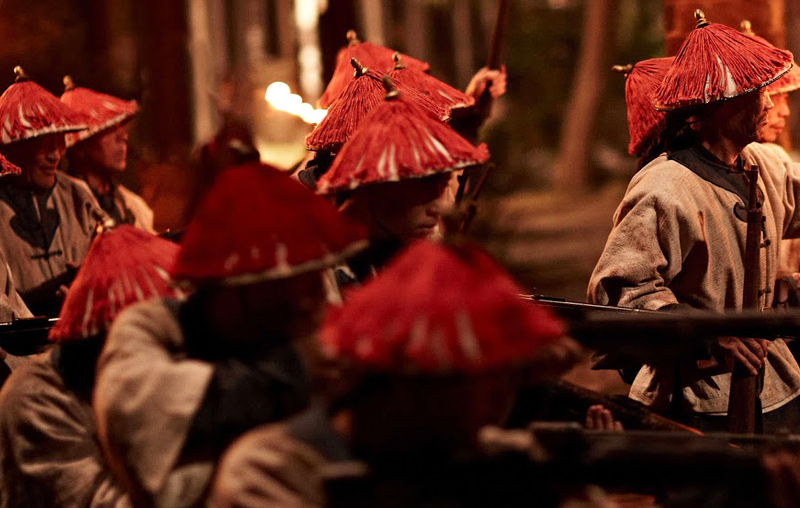 During the Boxer Rebellion and the ensuing reprisal by the forces of the Eight Nation Alliance. 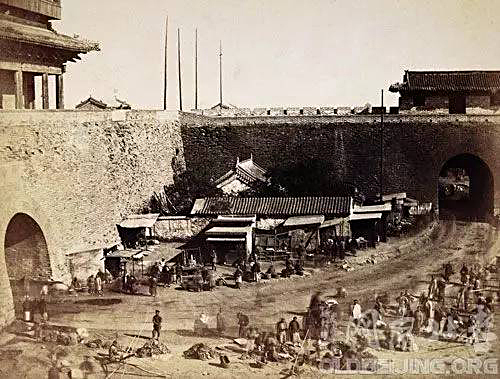 it suffered extensive damage and over 100 Qing Imperial soldiers and officers, including the high ranking Hui General Ma Fulu and his four cousins (who were also officers) were all killed by in the fighting against the British. 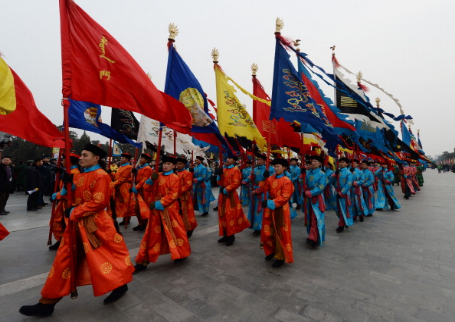 Many who died were part of the turban wearing Kansu Braves (Muslim loyalist soldiers from Gansu region of western China armed with western styled Mauser Rifles and field artillery.) During the latter 20th century it was restored. Rear View of the Watchtower, note the absence of arrow slits so as to prevent enemy occupants of having the chance to fire at the defenders behind the edifice. 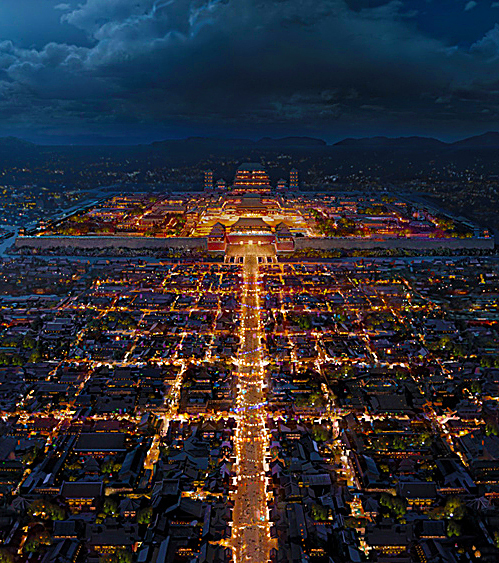 Each Inner city barbican contained a temple, and the barbican at Zhengyangmen had two: The Qing emperor would visit Guandimiao and light some incense each time he returned from a visit to the Temple of Heaven. 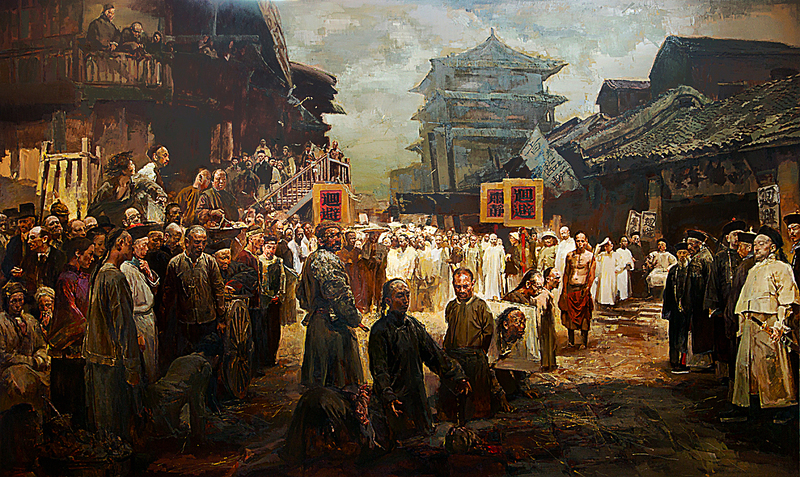 However, the temples of Guandimiao and Guanyinmiao were dismantled during the Cultural Revolution. Today the watchtower (Qianmen) remains. 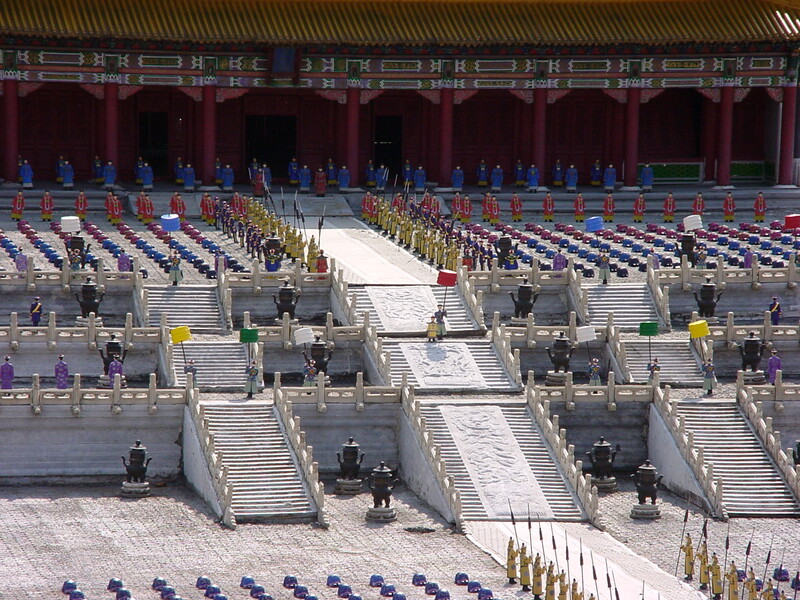 the Meridian Gate of the Forbidden City (north) to the Temple of Heaven (south). 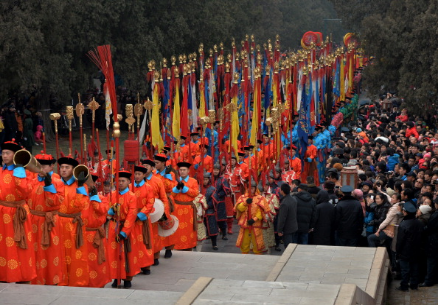 The length of the procession is about 4 km. 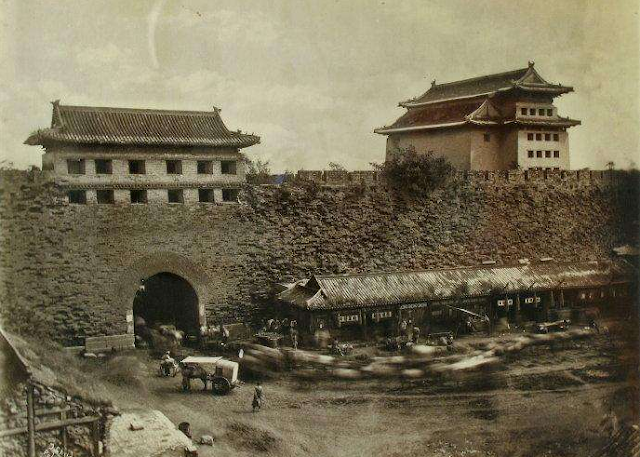 Chongwenmen ('Gate of Respectful Civility'), commonly called "Hademen", was located on the eastern section of the Inner city southern wall. 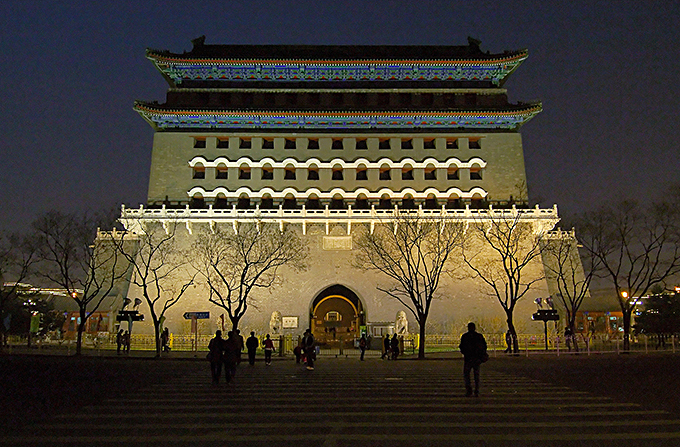 Originally called "Wenmingmen ('The Door of Civilization'), it was built in 1419. 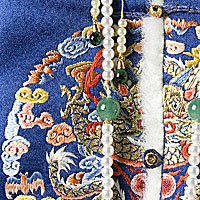 The name was changed during the Zhengtong era (1435–1449). The new name was taken from Zuo Zhuan: "崇文德也"('It is a virtue to respect civility'). The barbican, sluice gates, and a watchtower were built in the Zhengtong era. Beijing's souther wall complex near the Chongwenmen area, circa 1900. Note the massive arrow tower and its many arrow slits. 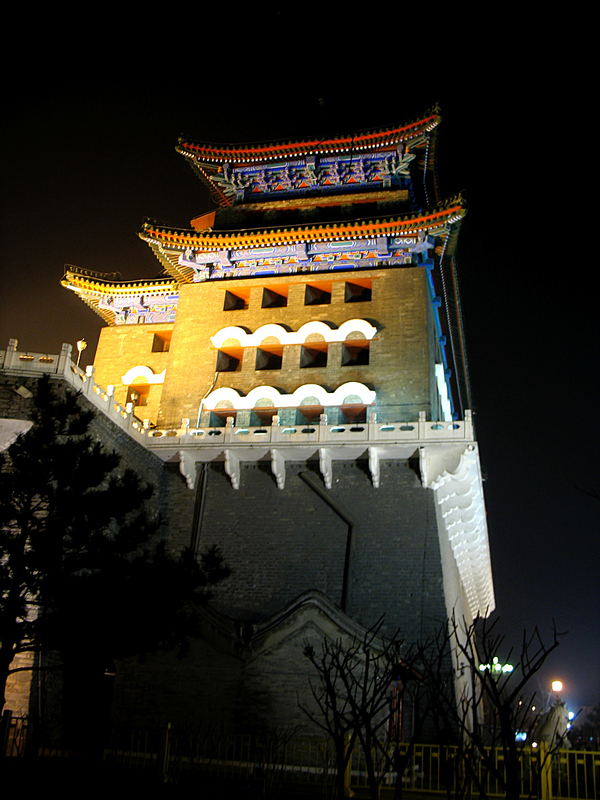 Chongmen Gate's gate tower was built in multi-eaved Xieshanding style, with grey and green glazed tiles. It was three rooms by five, with an overall width of 39.1 metres and a depth of 24.3 metres. The gate tower had two floors and was built on a tower platform at a height of 35.5 metres. 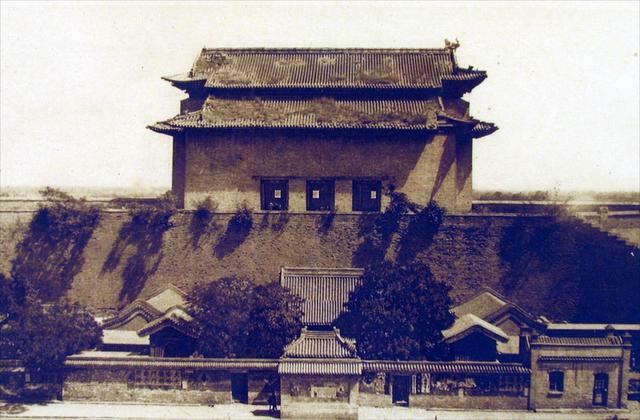 The watchtower was similar in design to the one at Zhengyangmen, but on a slightly smaller scale. The enceinte had a width of 78 metres and a depth of 86 metres. There were sluice gates and arches on the western side. Top-down diagram of Chong Wen Gate, the official gatehouse lies in the north while the barbican projects outwards. The watchtower lies directly south to the main gate, while the small entrance to the barbican (and a small watch tower gate) lies to the west of the complex. There is a temple, a courthouse, a toll office and a jail inside the barbican. 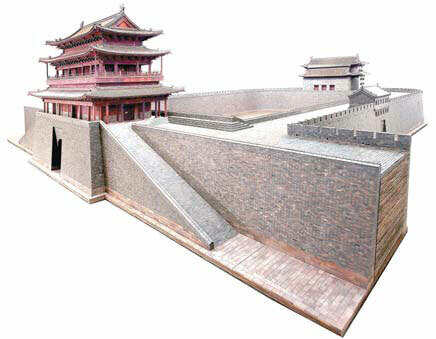 Above: Various parts of the Chongwen Gate complex: the Main inner gate, the moat and the adjacent walls. The watchtower gate that opens up the barbican. The busy commercial avenue outside the gate. Because of the heavy commercial traffic that must pass through it daily, there was a toll set up at this particular gate for nearly 500 years. 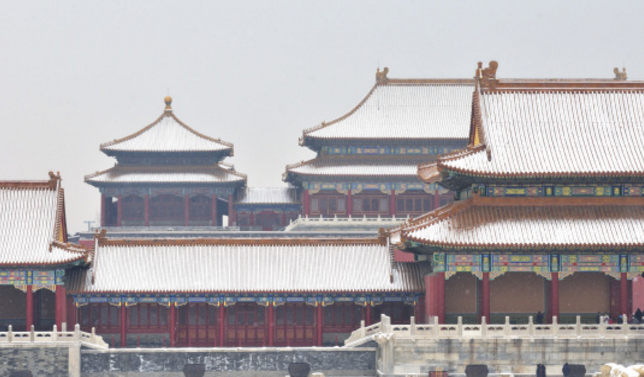 Due to its close proximity to the busy Tonghui river, it was the busiest gate in Beijing. 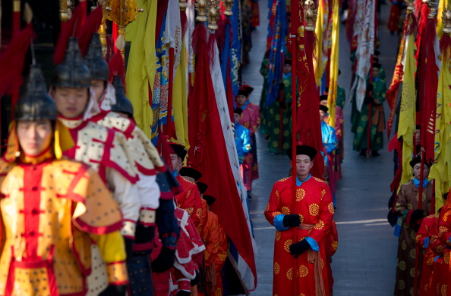 Entry and departure taxes were charged at Chongwenmen throughout the Ming dynasty, Qing dynasty, and early Republican eras. Because of the special eastern orientation of the gate, it is also the spot where many of the businessmen of the Outer City routinely conduct business with. 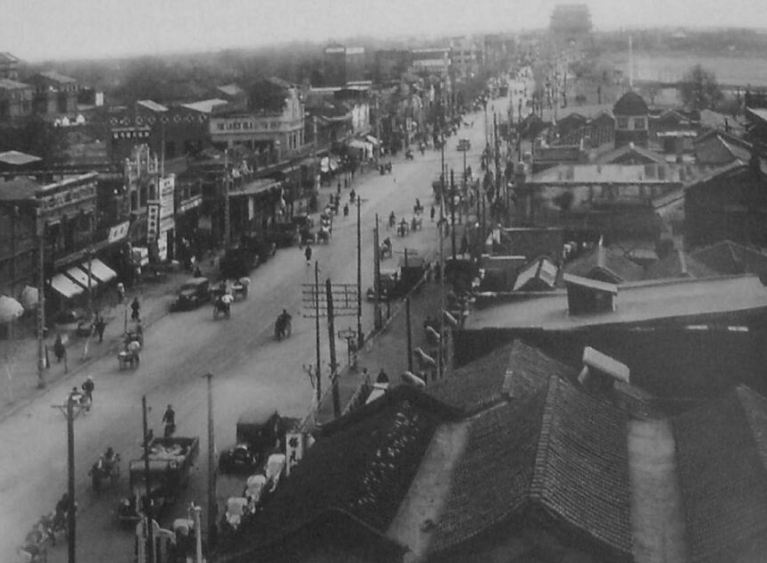 As a result of the area serving as supplier of luxury goods to the elites of the Inner City, the avenues next to the Chongwen Gate became some of the most wealthy business areas in all of Beijing. The Brutal Coming of the Modern World. The legacy and perhaps significance of this gate could perhaps best extracted from the edifices that utterly replaced it. 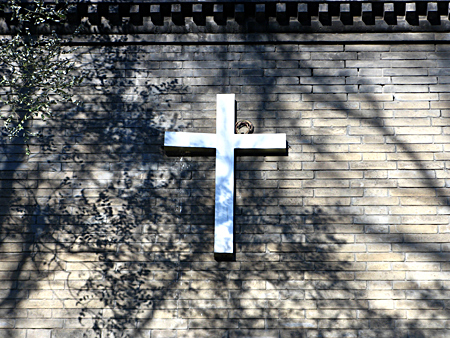 Today the Chongwen Gate area was utterly demolished and served as a busy traffic junction in eastern Beijing, however, on top of where it used to stood rose 1. a western styled church, and 2, a railway station. 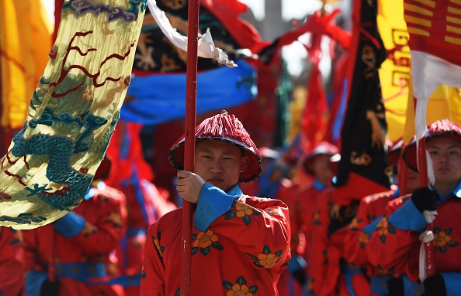 There was already a sizeable number of Chinese Christian converts in this region before the reactionary and nativist terror of the Boxer Rebellion began. 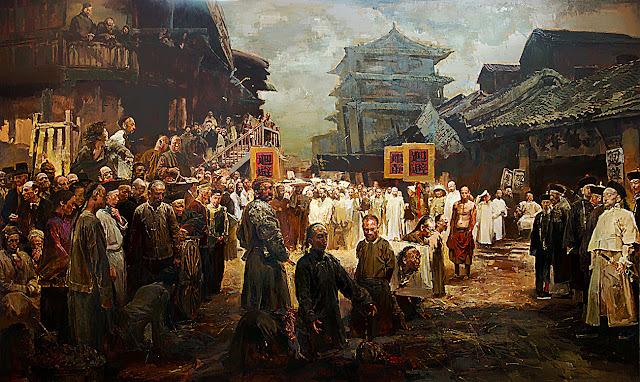 As foreign powers began to exert their power over China and forcing it to open its doors in the late 19th century, a large number of missionaries arrived with many of the western delegates into Beijing. 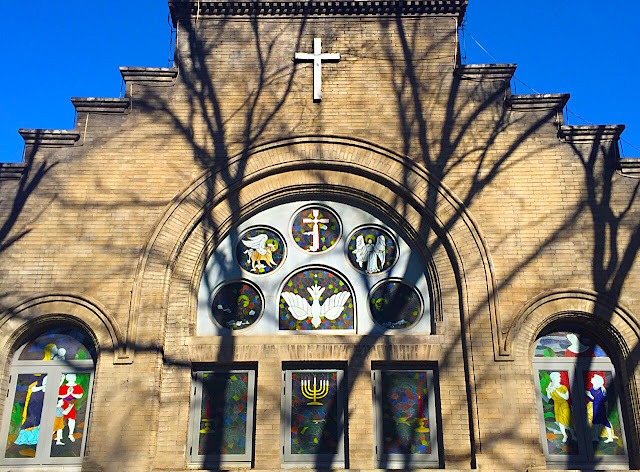 The great Chongwenmen Church or 亚斯立堂 (Ashbury Methodist) was built in 1870 and had attracted a large number of local adherents. 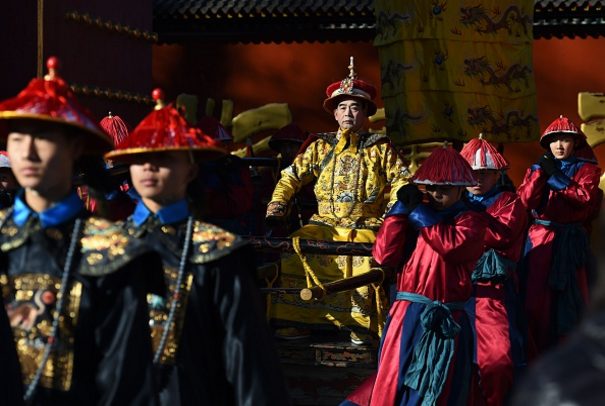 China had historical contacts with German Protestants and Jesuits who served Ming and Qing Emperors and the church was erected in areas that was previously delegated to them. Within the Chongwen Gate barbican there was a Guandimiao (Temple of Guan Yu) temple in the northeastern corner, built facing the south. 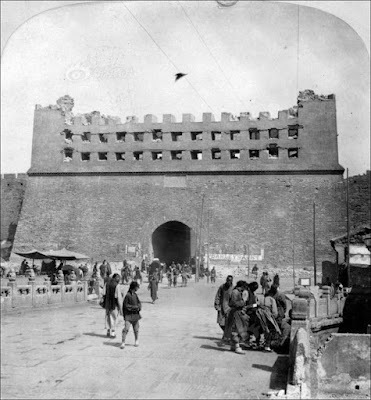 However in 1900 with the siege of Beijing by the Eight Nations Alliance the gate's watch tower was destroyed by British cannon fire. 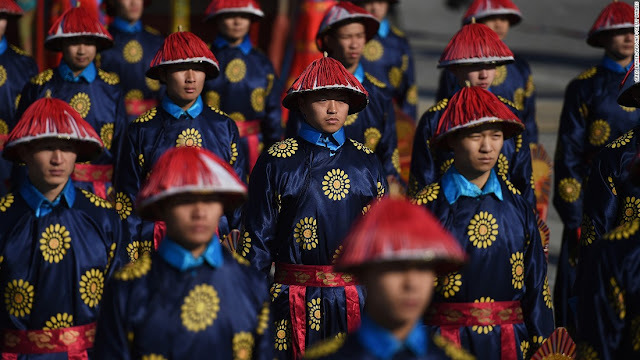 By the time the violence and slaughter settled and Beijing was captured by the Eight Nations Alliance, the last embers of China's native cults and societies have lost much of their previous hold on the peasants and landed gentry. 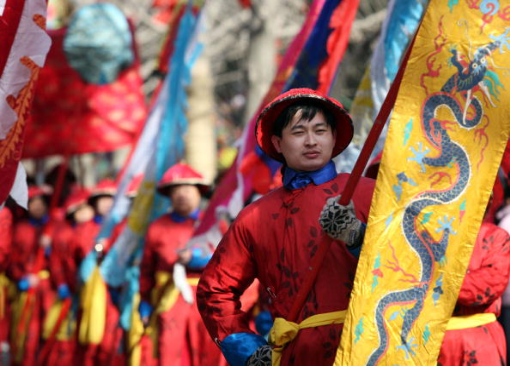 With the collapse of the Qing dynaty the nation spiraled into nearly half century of uncertainly- during this time Christianity steadily gained millions of adherents until the Communist victory in 1949. Today the churches are reopened and eastern Beijing boasts one of the largest Christian communities in China. The churches would remain, while another- more pressing set of structures accelerated the disassembly of Chongwen Gate. 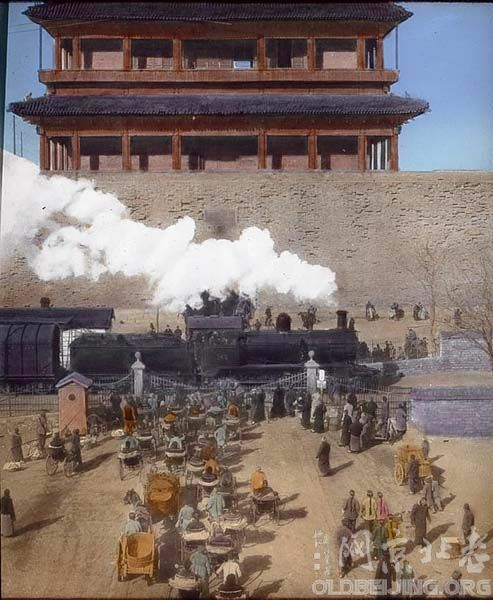 In the aftermath of the Boxer Rebellion a railroad station was designated right on the southern axis of the Inner City, crossing all three of the southern Inner City gates. It was this that ultimately led to the demolition of 2/3 gates of the Inner City and nearly all of Inner City's southern walls. Map of Beijing ca 1910. 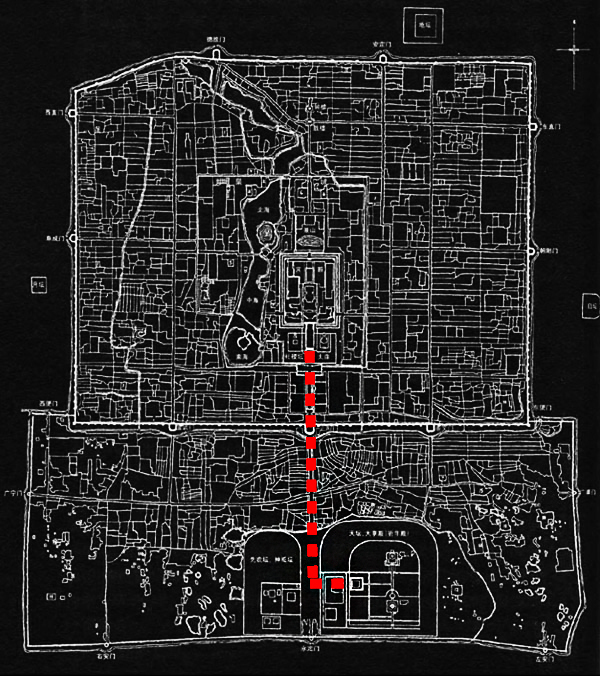 In the center- south portion of the map, notice the margins of the Inner City's wall. 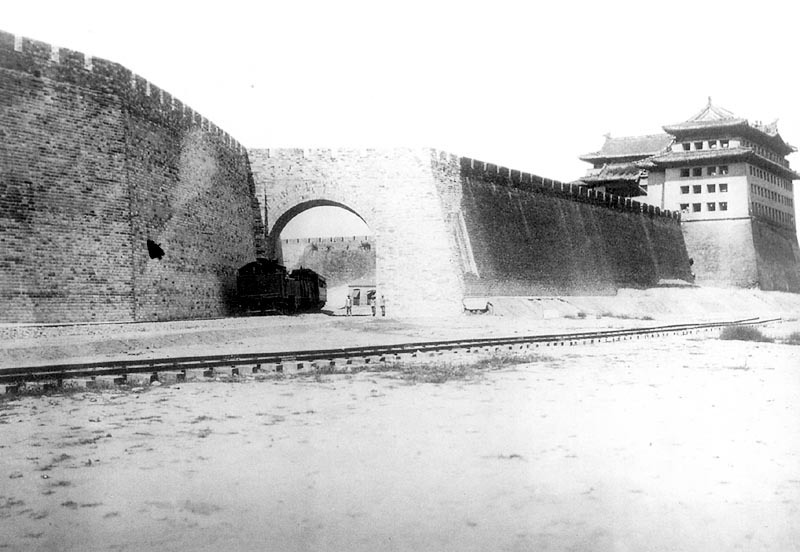 The new Beijing railroad was erected directly along the southern walls. 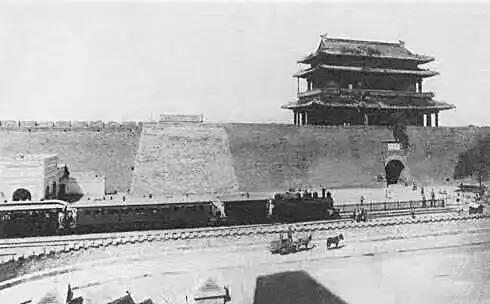 In order to reduce traffic and create large horizontal high ways that bisects the city horizontally, each of the three southern city's barbicans at Zhongyangmen, Chongwenmen, and Xuanwumen were demolished. accommodate the traffic, necessitating additional demolition. 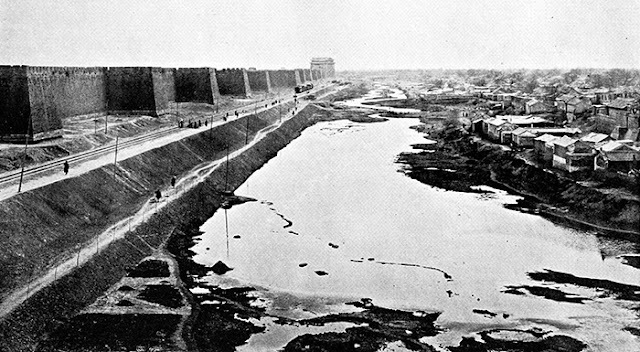 the whole of Beijing's wall systems. 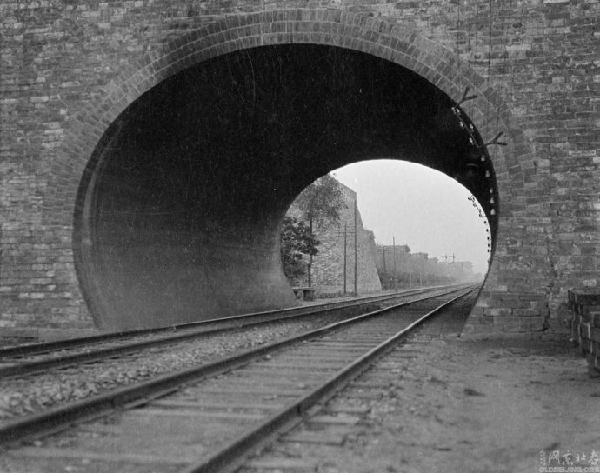 Additional railroads and highways were also constructed on the eastern portion of the city as well. As seen in Chaoyangmen (E) here. 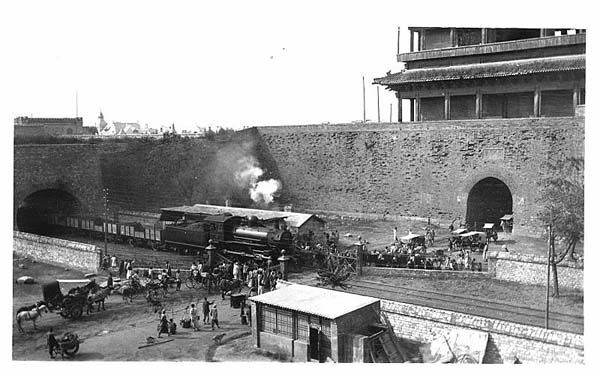 To avoid disrupting rail service at the nearby main train station while the metro was being built, the metro was routed away from the city walls and the southeastern corner guard tower. The barbican and the gate proper was completely demolished in 1920, today, only the watchtower survived, along with a marginal section of the Inner city wall. 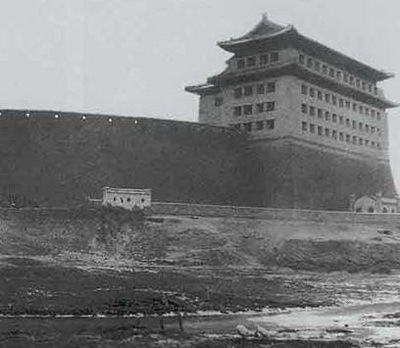 Xuanwumen ('Gate of Advocated Martiality') was located on western section of the southern wall. It was built in 1419 when Beijing's southern walls were expanded. Before the Zhengtong era (1435–1449) the gate was called Shunchengmen ('Shun Cheng Gate'), while commoners referred to it as Shunzhimen. 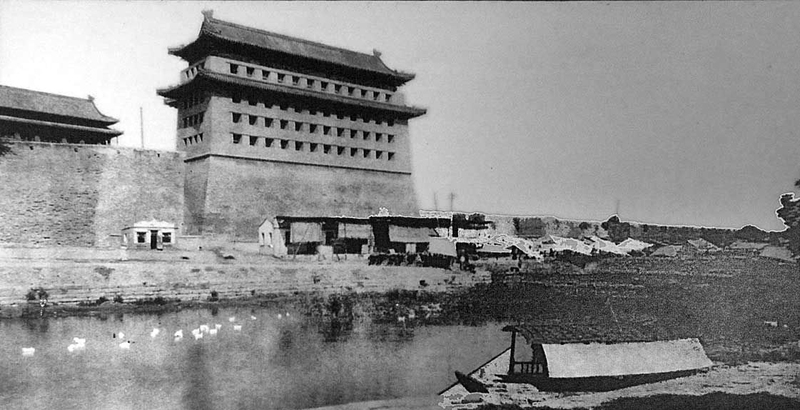 The gate tower was completely rebuilt during the Zhengtong era, and a barbican, sluice gate tower, and watchtower were added. The name was changed to Xuanwu ("martial advocacy"), from a quotation from Zhang Heng's Dongjing Fu: "the martial integrity is to announce 武节是宣 wu jie shi xuan". The gate tower was five rooms wide and three deep, with an overall width of 32.6 metres and a depth of 23 metres. The gate tower had two levels and was 33 metres high. The roof was built in the multi-eaved Xieshanding style with green glazed tile edges on grey tiles. 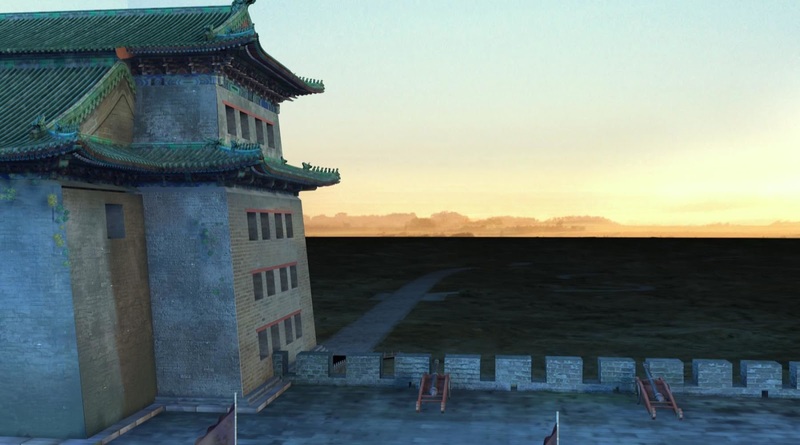 The watchtower was similar to the one at Zhengyangmen, but on a slightly smaller scale. The barbican was 75 metres wide and 83 metres deep, with sluice gates on the eastern and western sides and one archway on each side. A Guandi (of Guan Yu, the God of War) Temple was located on the northwestern corner of the barbican, facing southward. 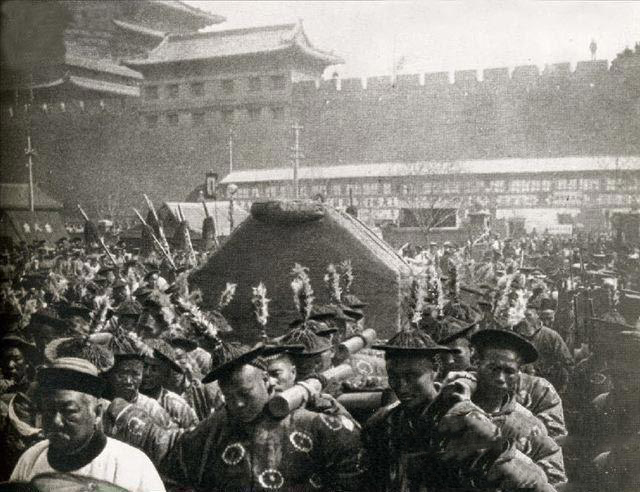 The giant cannons on Xuanwumen were fired at noon. 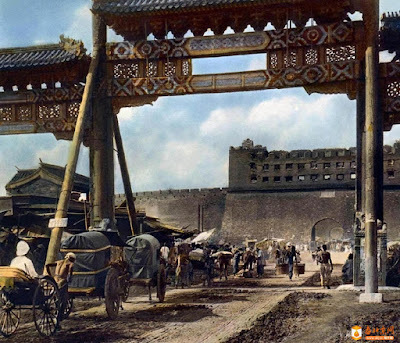 Xuanwumen was informally referred to as the "Death Gate", because carts carrying prisoners for execution were taken through this gate to the execution ground, located in Caishikou (pronounced Tsai shi kou,) to the south. 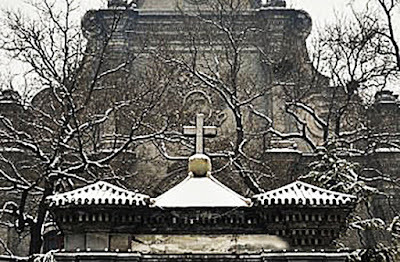 Beijing's many cemeteries were located in and around Taoranting in the southern suburbs. 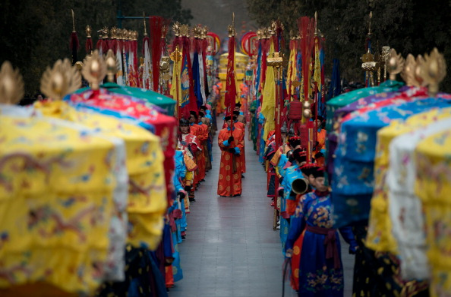 Funeral carts carrying commoners would often leave the city through Xuanwumen. 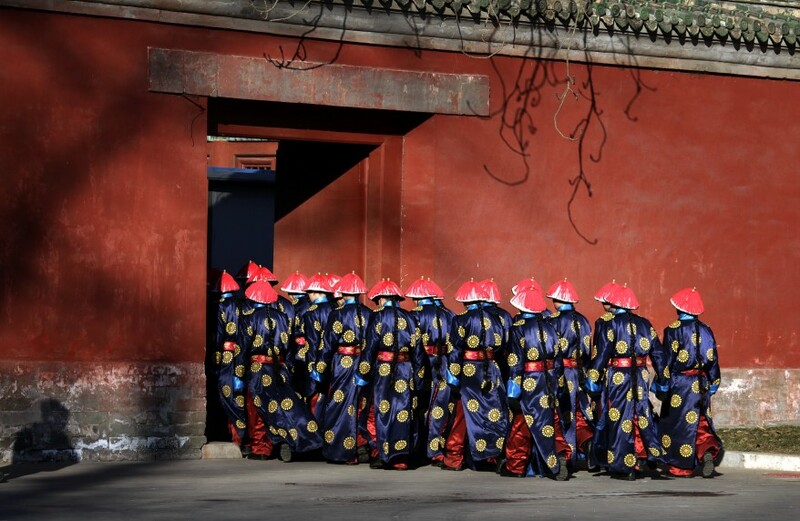 Of the nine Inner city gates of Beijing, Xuanwumen was built at the lowest elevation. 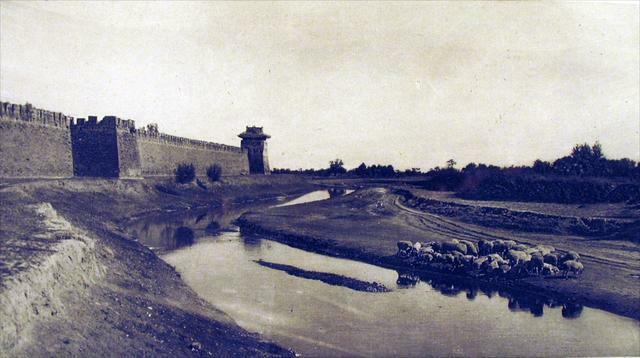 Although normally the river system accommodated and directed water flow out of the city through Zhengyangmen's eastern sluice gates, these proved ineffective during heavy rainstorms, when most of the water would flood out of Xuanwumen. 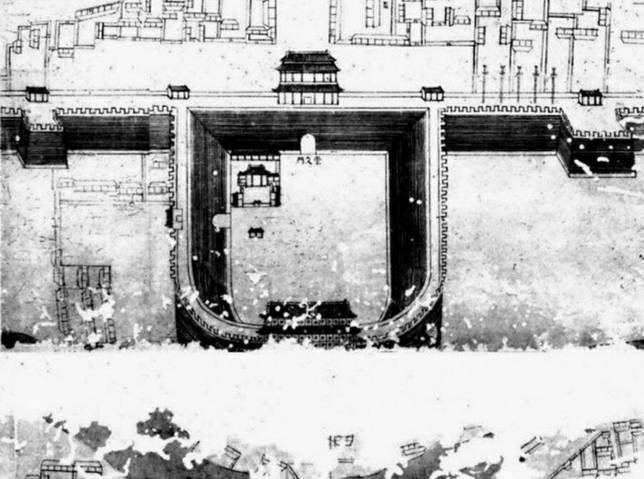 According to Guangxu Shuntianfu Zhi, heavy rainstorms in Beijing in 1695 flooded the gates at Xuanwumen, making them impossible to open. Six elephants were brought over from the zoo to force open the gates, and the flood finally dissipated out of the city. Just like the Chongwen Gate, during the construction of the Beijing railroad, it severed through the 3 of Inner City's southern barbicans. 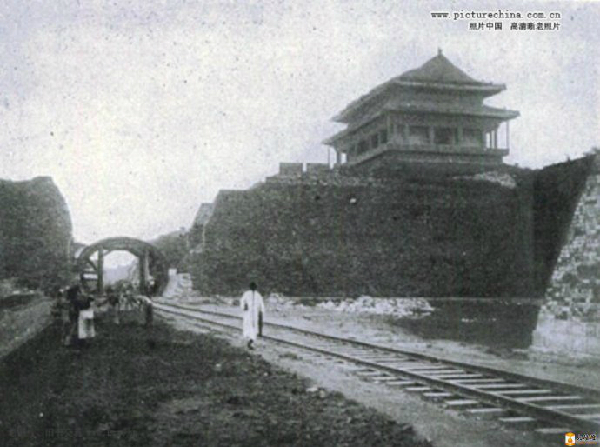 Xuanwu Gate was first made a railway station, then its watchtower was dismantled in 1927. The watchtower platform and the barbican were dismantled in 1930, and the gate tower was dismantled in 1965. Like its southern cousin the Chong Wen Gate, Xuanwu Gate also experienced nearly a complete demolition. Also like Chong Wen Gate, in its former location was replaced with a railroad station and a Christian church. But this time, it was a church of another sort. 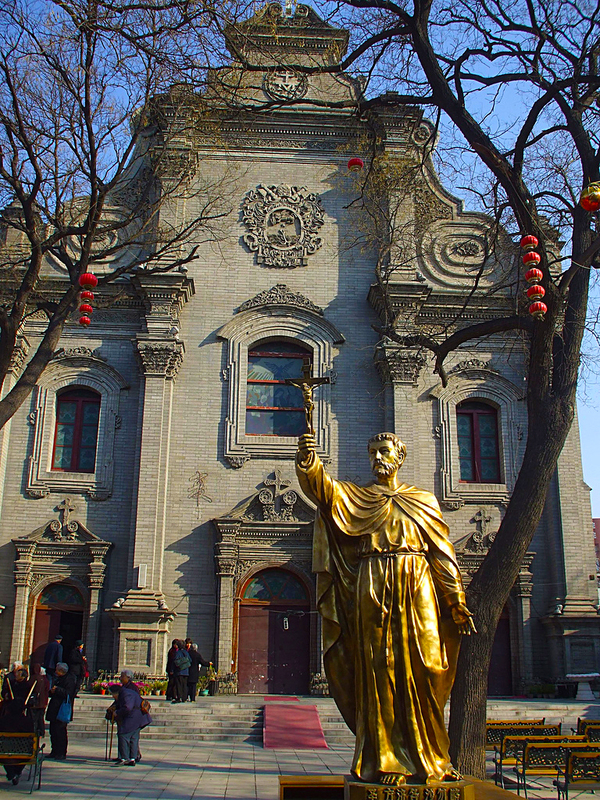 Today the Xuanwumen area stood the Cathedral of the Immaculate Conception, where the Archdiocese of Beijing is located. 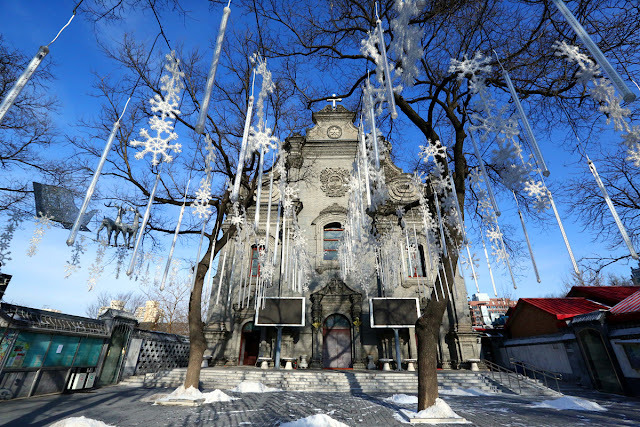 The Xuanwumen Church: or The Cathedral of the Immaculate Conception, as a foundation, dates back to 1605, in the 33rd year of the reign of the Wanli Emperor of the Ming dynasty. 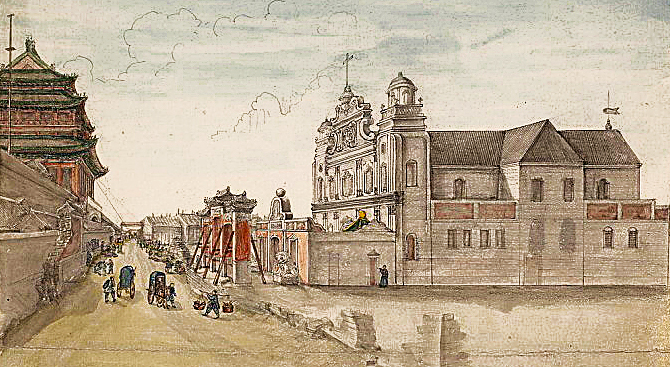 When the Italian Jesuit Matteo Ricci arrived in Beijing, the Wanli Emperor permitted him a residence slightly to the west of the site of the current cathedral, near Xuanwumen. In 1650, in the seventh year of the reign of the Shunzhi Emperor of the Qing dynasty, under the leadership of the German Jesuit Johann Adam Schall von Bell, work on a new church building was begun on the site of the Xuanwumen Chapel. Construction of was complete in two years, and the new church received the honour of a Ceremonial gateway with the words 'Respect the Teachings of the Way of Heaven' (钦宗天道). The Shunzhi Emperor was friendly to Schall and the church, visiting it no less than 24 times, bestowing upon it a stone stela with the words 'built by Imperial Order' (敕建) inscribed upon it. In 1690, Beijing received its first Roman Catholic bishop in three hundred years, the Franciscan Bernardin della Chiesa, and the church became a cathedral. In 1703, in the 24th year of the reign of the Kangxi Emperor, the cathedral was enlarged and renovated, and after ten years, a European-style building was complete, the second European-style building in Beijing after the Canchikou church. This was destroyed in 1720 by an earthquake in Beijing. A new cruciform structure was built in the baroque style, with a length of 86 metres and width of 45 metres. 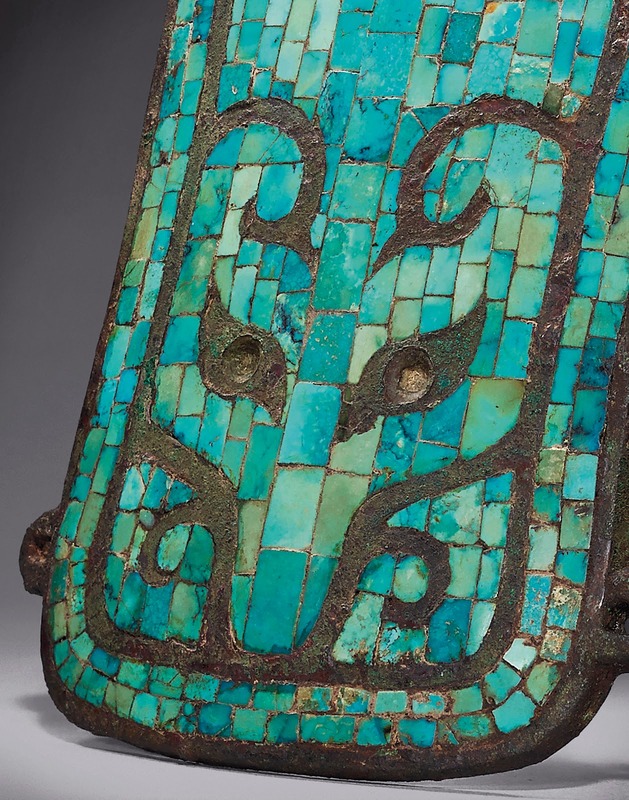 This was again severely damaged by an earthquake in 1730, in the eighth year of the reign of the Yongzheng Emperor, who donated 1000 taels of silver towards its repair. The repaired cathedral had larger and taller windows, resulting in a brighter and grander interior. 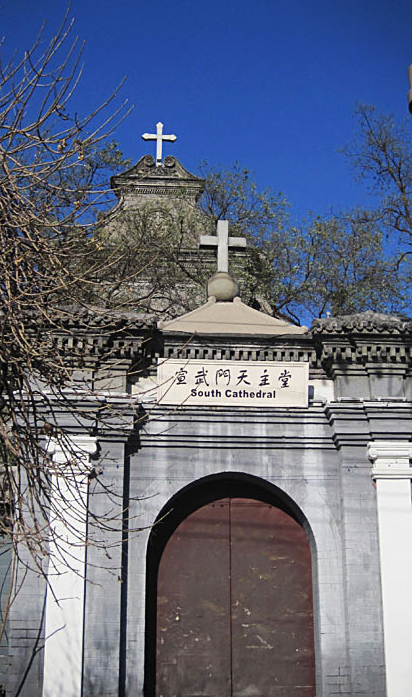 While the original foundation of the cathedral was in 1605, making it the oldest Catholic church in Beijing, the current building in Baroque style dates from 1904. In 1838, in the 14th year of the reign of the Daoguang Emperor, due to constant conflicts with the power and influence of the Catholic Church, for the sake of peace, the Qing government decreed a restriction of the activity of the Catholic Church in China. 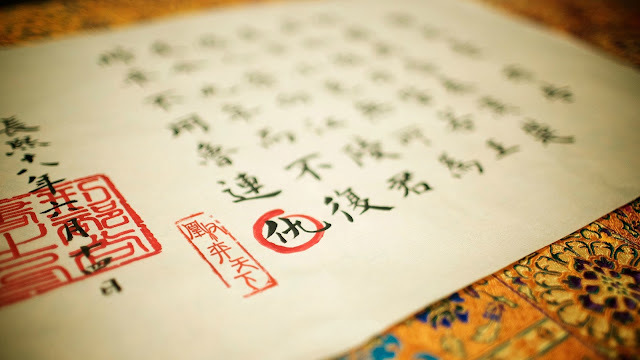 In this decree, the cathedral was confiscated by the government and remained such until the end of the Second Opium War, when the Catholic Church was again permitted to act freely. 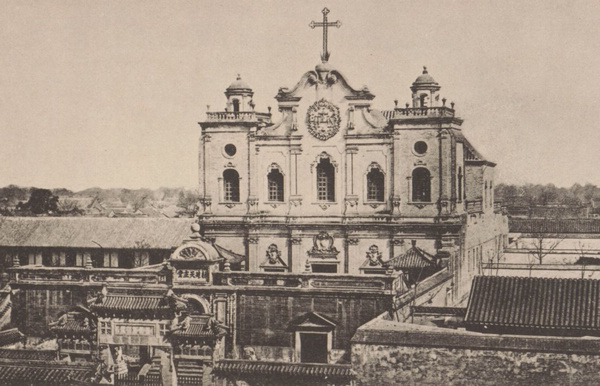 The cathedral was reopened in 1860 under the leadership of Bishop Joseph Martial Mouly. When the Boxer Rebellion broke out in 1900, all the churches of Beijing were targets of vandalism, and on 14 June 1900, the cathedral was set razed to the ground, together with most other churches of Beijing. In 1904, the present structure was completed, the fourth church on the site. 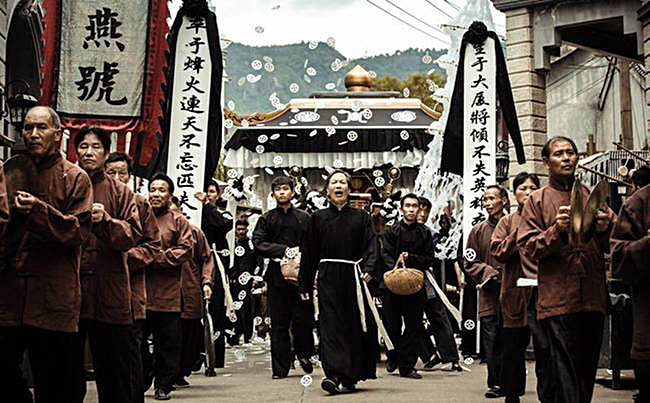 On 21 December 1979, Bishop Michael Fu Tieshan was consecrated in the cathedral, the first major event in the life of the Catholic Church in China after the Cultural Revolution. 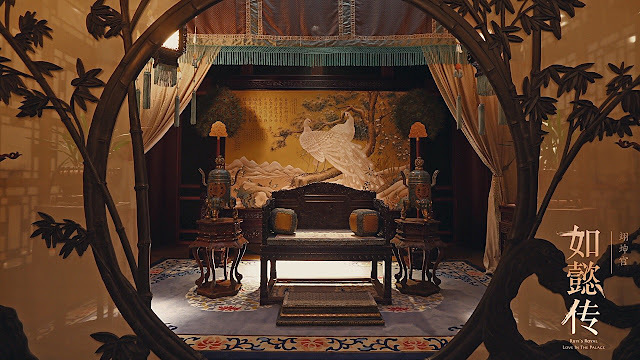 Dongzhimen (東直門 lit. 'Eastern Upright Gate') was located on the northern section of the Inner city eastern wall. 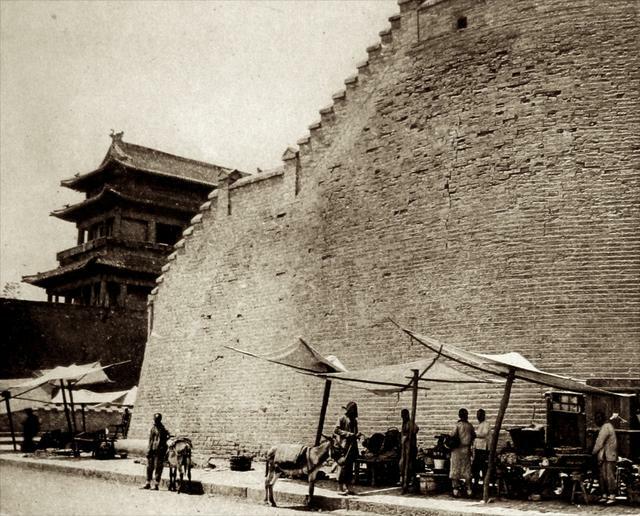 It was built on the location of the Chongrenmen (崇仁門) gate of the Yuan era, the central gate of the eastern city wall of Dadu. 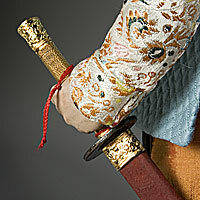 In 1419 the name was changed, quoting "东方盛德属木、为春" and "直东方也，春也". 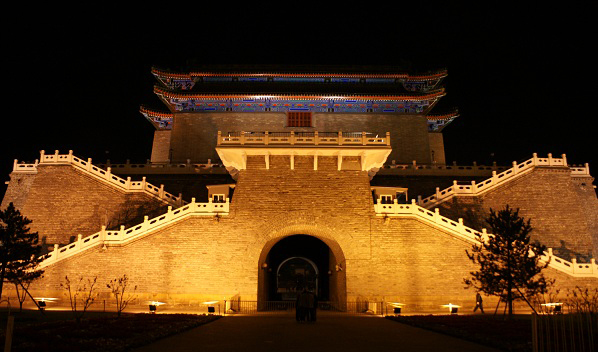 Dongzhimen's gate tower was five rooms long (31.5 metres), three rooms wide (15.3 metres), and two floors high (34 metres). 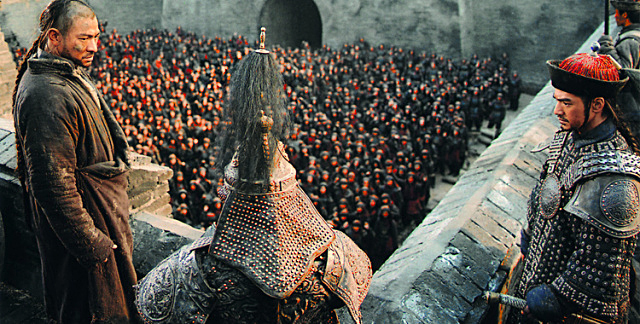 The watchtower was similar to the one at Zhengyangmen, but on a slightly smaller scale. 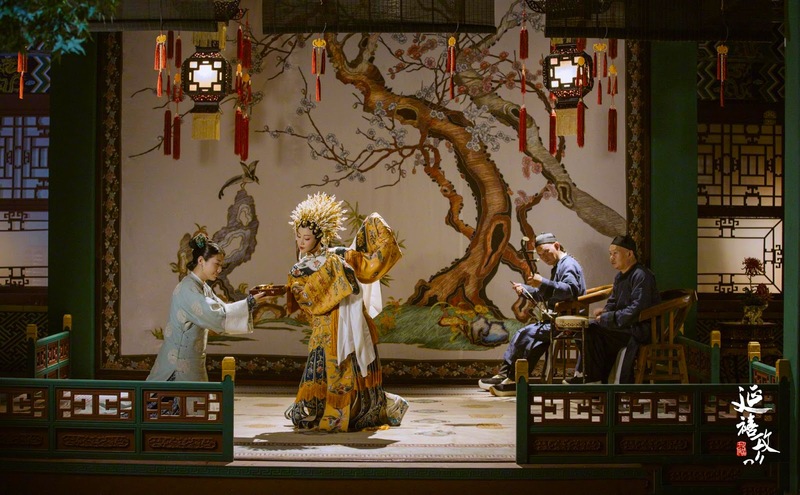 The barbican was built during the final years of the Yuan dynasty (ended 1368). It was nearly square, and was the smallest barbican of any of the nine Inner city gates. 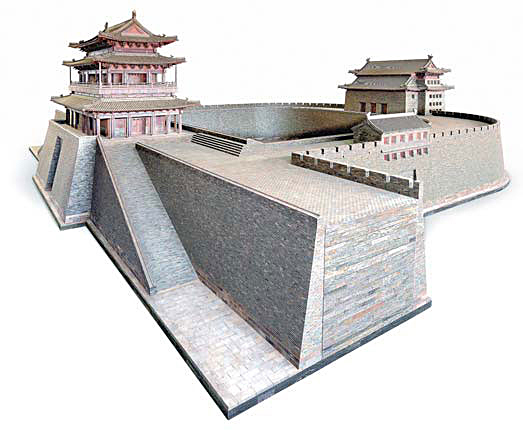 The northern and southern walls were 68 metres long, and the eastern and western walls were 62 metres long. Archways and sluice gates were present on the eastern and western sides. This inner city gate was known as the "Gate of Wood. 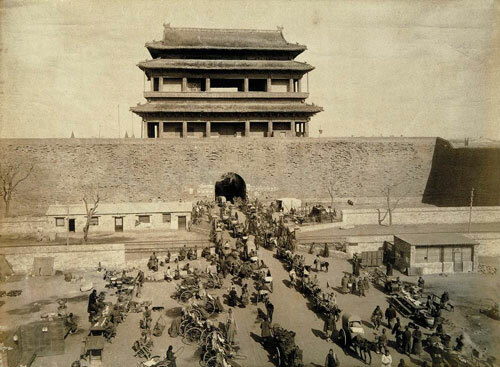 "All the wood needed for the construction of palaces for royal families was transported through this gate, which was surrounded by woodwork factories and coffin stores. Outside Dongzhimen was a pagoda made completely from iron, with a stone statue of Yaowangye. Many carts carrying raw wood entered the city through Dongzhimen. A Guandi Temple was located on the northeast corner of the Dongzi Gate barbican facing southward. 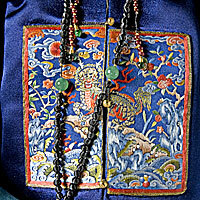 The temple had no proper statue of Guandi; a minor deity made of wood was located there instead. This gave rise to the old Beijing saying: "Nine gates, ten temples, one without morality". the complete demolition of the eastern walls as well. 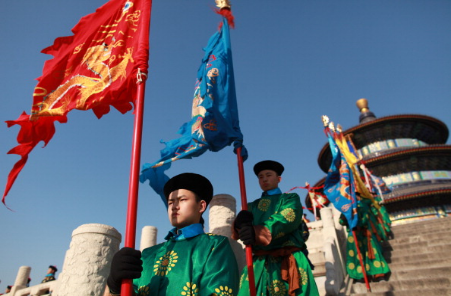 Chaoyangmen (朝陽門 lit. 'Gate that Faces the Sun') was located at the midpoint of the Inner city eastern wall. This inner city gate, which translates as the Gate of the Morning Sun, was used to transport grain. 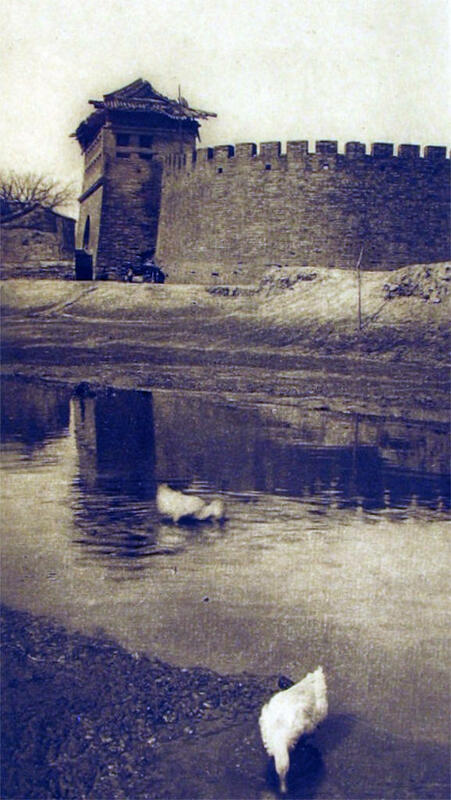 Using a moat in front of the gate, Beijing's grain was shipped from Chaoyangmen to residents. Many rice storage buildings were located near the gate. 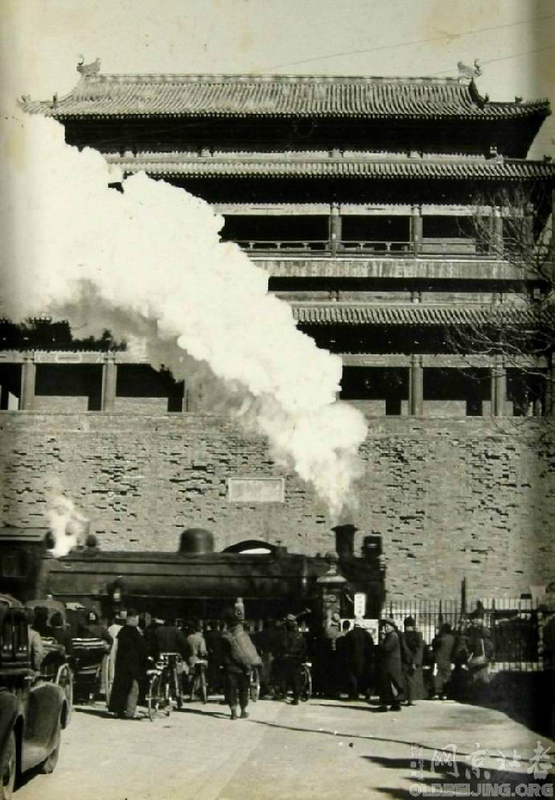 Because of its role in distributing grain, Chaoyangmen was also known as the city's "life gate". 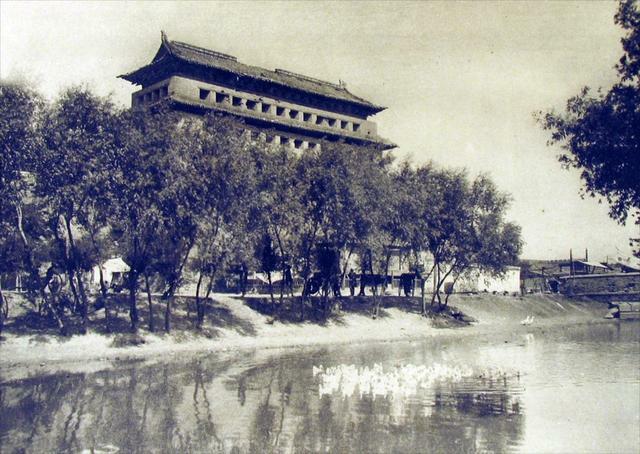 Built at the site of the Dadu gate called Qihuamen (齊化門), it was informally known by that name by the commoners. The gate tower and watchtower were similar to those at Chongwenmen. 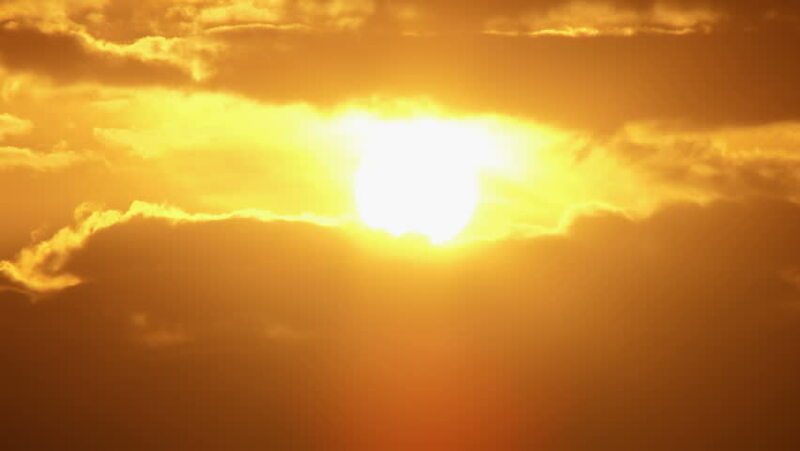 The gate tower was 31.35 metres wide, 19.2 metres deep, and 32 metres high. The barbican was 68 metres wide and 62 metres deep, with a sluice gate and archway on the northern side. Its Guandi temple was located on the northeastern corner, facing south. The watchtower was destroyed by Japanese forces in 1900 and was rebuilt in 1903. 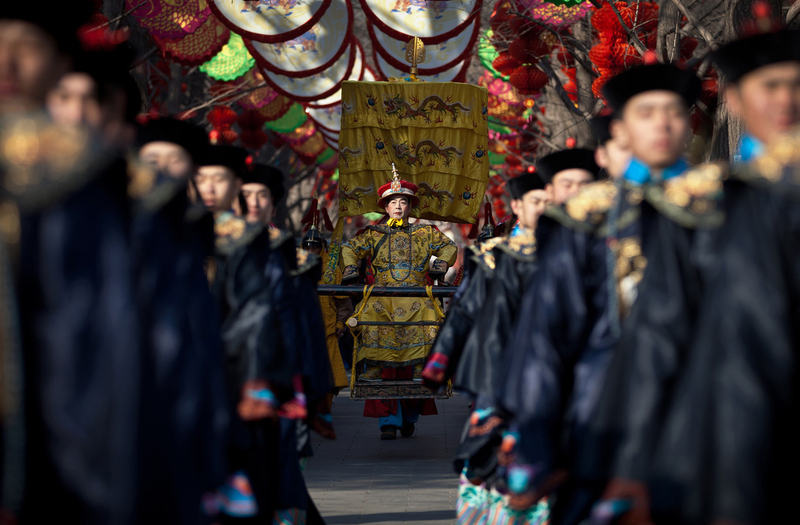 Chaoyangmen was Beijing's "Food Gate", through which many carts carrying staple foods entered the city. The gate was closest to the Beijing-Hangzhou Grand Canal, and wheat and rice from the south China plains such arrived via that route. Much of the food was stored in warehouses just inside Chaoyangmen. Thus it has the symbol of a wheat grain engraved on the archway of the barbican gate. Chaoyangmen has the informal name of "Dumen", meaning 杜门 "resting station". 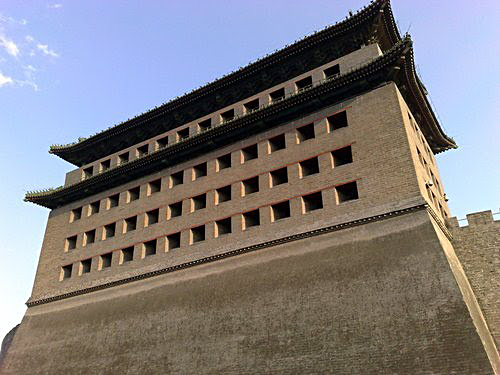 Arrow tower of the southern walls of Inner Beijing. Note the moat beneath it. The gate was closest to the Beijing-Hangzhou Grand Canal, and wheat and rice from the south China plains such arrived via that route. An inner city gate literally meaning the Gate of Peace. 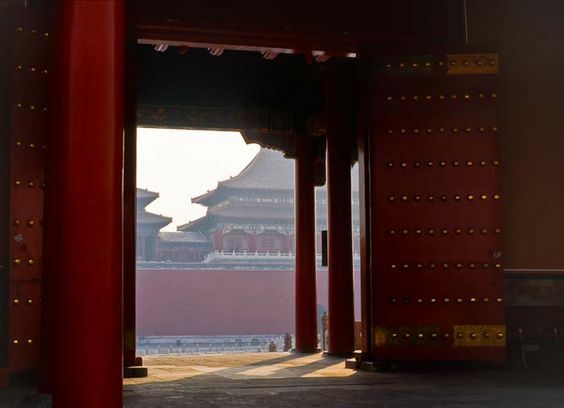 When generals and troops returned victorious from war, they would walk through the gate to report their triumph to emperors living in the Forbidden City. Andingmen (安定門 lit. 'Gate of Secured Peace') was located on the western side of the Inner city northern wall. 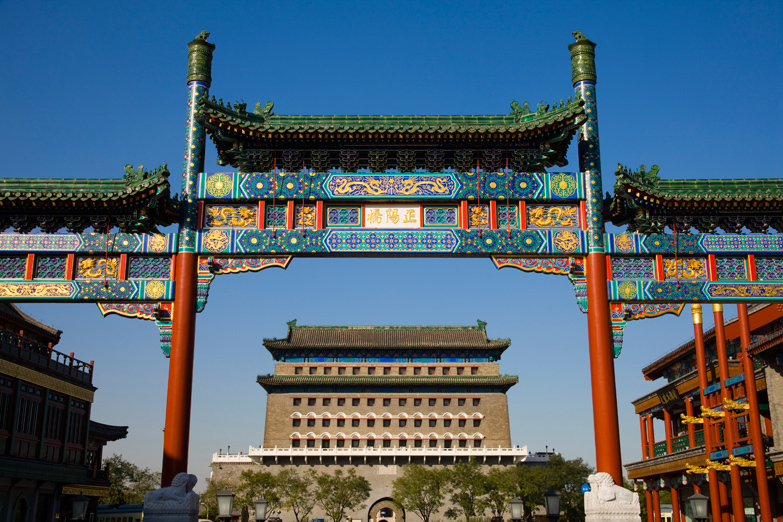 It was built when the gate called Anzhenmen (安貞門) was moved south during the early Ming dynasty. 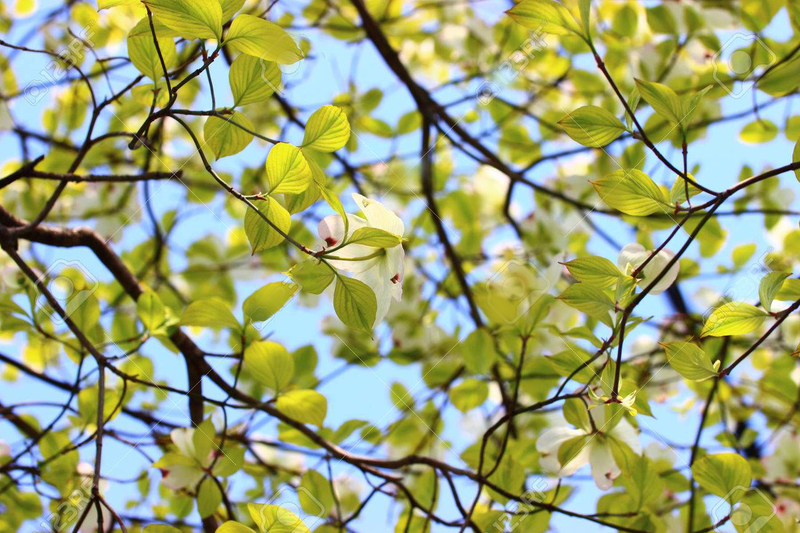 It was renamed Andingmen, hoping for "peace and tranquility under the heavens (天下安定)". Its gate tower was 31 metres by 16.05 metres and 36 metres in height. The barbican was 68 metres by 62 metres, with a sluice gate and an archway on its western side. The barbican was dismantled in 1915 and the gate tower and watchtower in 1969. 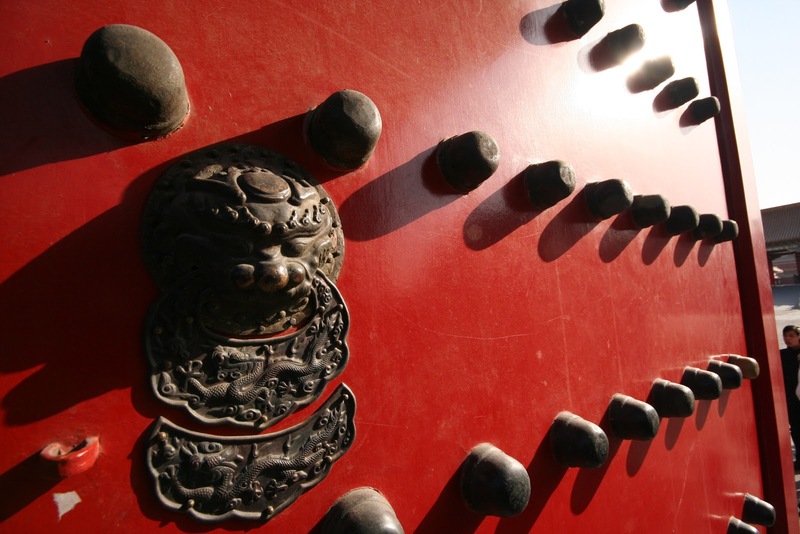 Seven of Beijing's Inner city gates had a Guandi temple built within their barbican grounds. Andingmen and Deshengmen had Zhenwu temples instead, as these gates were used by soldiers entering and leaving the city. 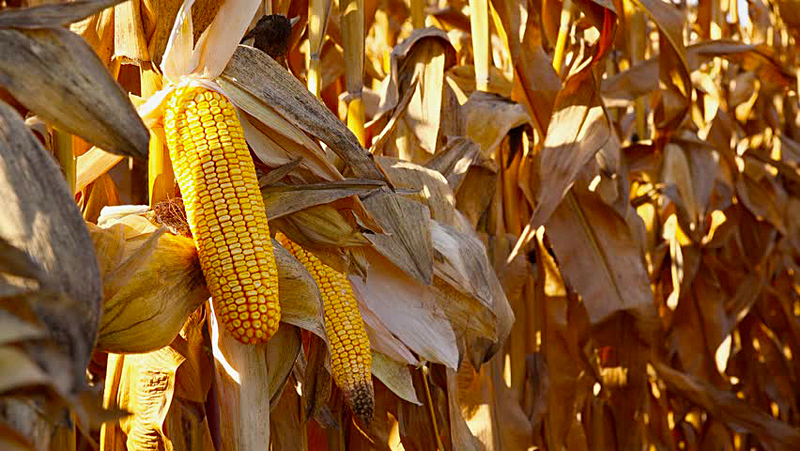 Andingmen was informally known as "生门 Shengmen", meaning "bountiful harvest". 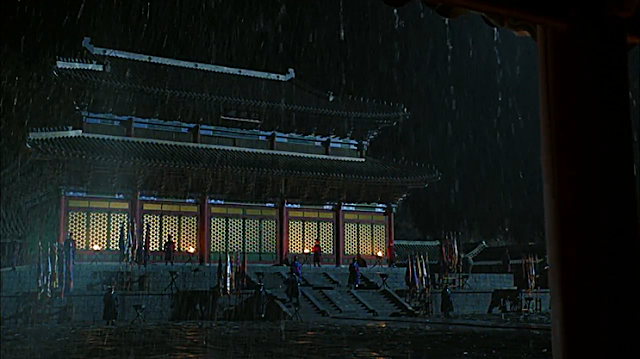 The Emperor always used this gate when leaving the city for the Temple of Earth, where he would pray for a bountiful harvest. Outside Andingmen were storage areas for manure, which was used as fertilizer. Carts carrying manure and cowpies would leave via this gate for farms in the countryside. During the dismantlement process, a small experiment to test the structural integrity of its gate tower was conducted. It was found that the gate tower structure could lean forward by 15 degrees and still not collapse. The Gate of Victory. 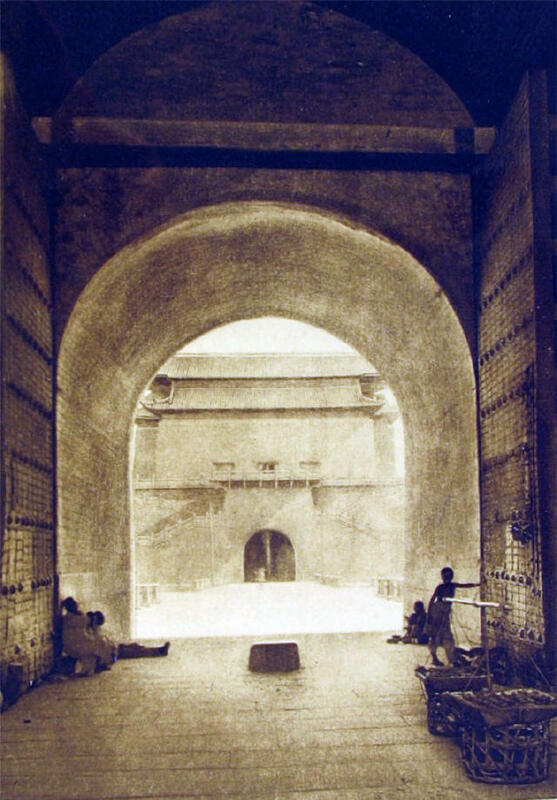 This was one of nine gates in Beijing's inner city, through which armies sent into battle by China's emperors would walk to begin their expeditions. Deshengmen (德勝門 lit. 'Gate of Moral Triumph' or 'Gate of Righteous Victory.') was located on the western section of the Inner city northern wall. 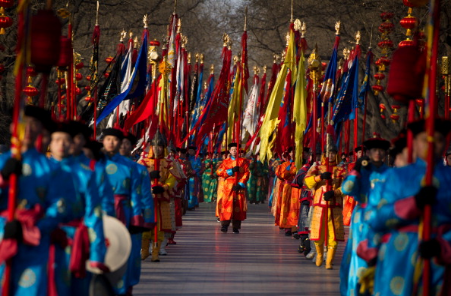 It was originally part of the Mongol Yuan dynasty capital of Dadu located in the norther section of northern Beijing. 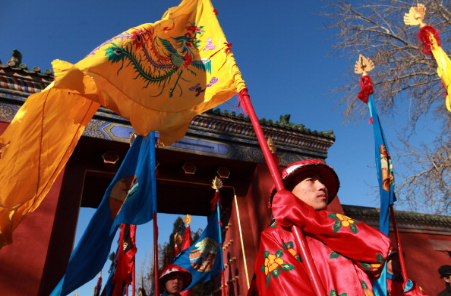 After the Ming dynasty expelled the Mongol overlords, is name was changed from the original "Jiandemen (建德門)" during the early Ming dynasty to the new 'Gate of Moral Triumph.' 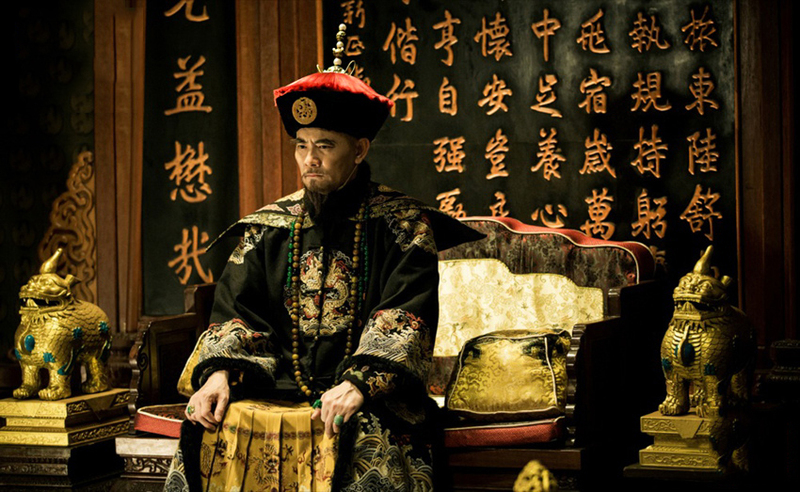 The new name implied that the Ming won the war against the Yuan Mongols by having strong ethics and morals and thus worthy of Heaven's favor. 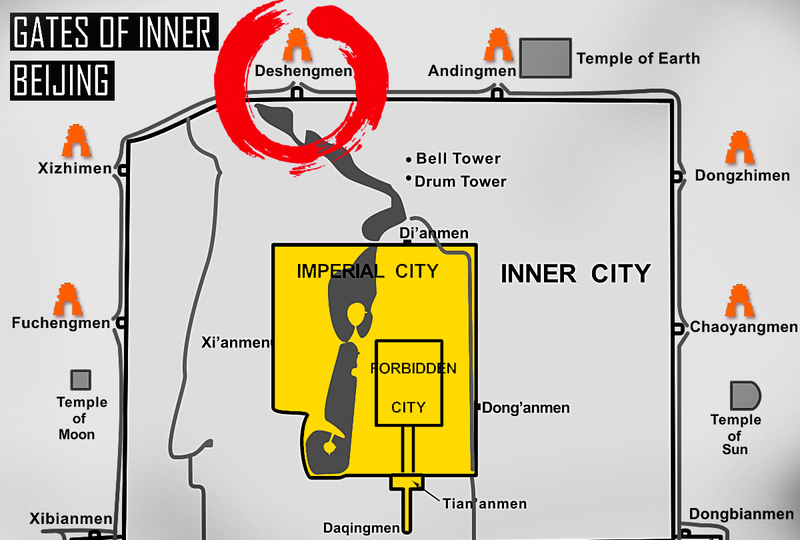 Thus, Deshengmen (N) is often the site of many battles. The northern wall was rebuilt in 1372 slightly to the south of the original position. When the Qing conquered the Ming in 1644, this would be the gate where the Emperors send out columns of his royal army. Being in the northern most part of not only the Inner City (for there is no "Outer City" sections in the northern part of Beijing) this is also the gate most invaders will try to breach if they wish to take Beijing. 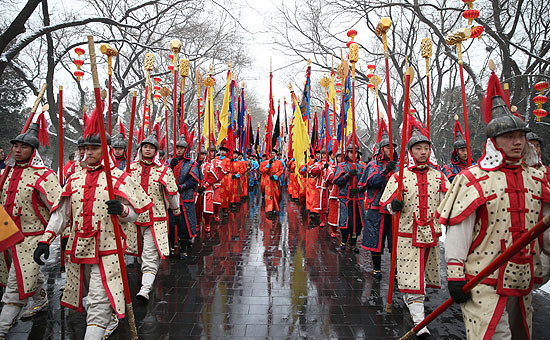 If anyone (especially the Mongols to the north) wanted to invade Beijing, they would first have to forcefully take control of Deshengmen. 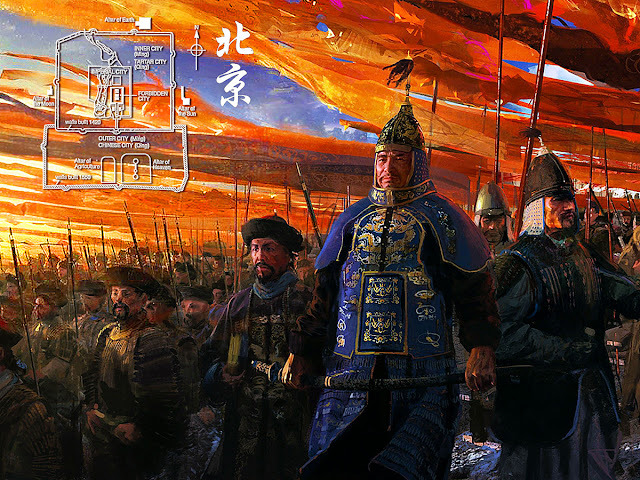 Both the Ming and the Qing, after defeating the Yuan and the Ming respectively, entered the city for the first time through Deshengmen; the name "Desheng" means "morally victorious". Carts carrying weapons used this gate for luck when entering or leaving the city. Deshengmen was also informally known as "修门 Xiumen", meaning "having high moral and ethical standards". Both the famous epic Ming dynasty scroll paintings "Departure Herald" and "Return Clearing" has the Desheng Gate marked as the respective entrance and exit for the Emperor's expedition. 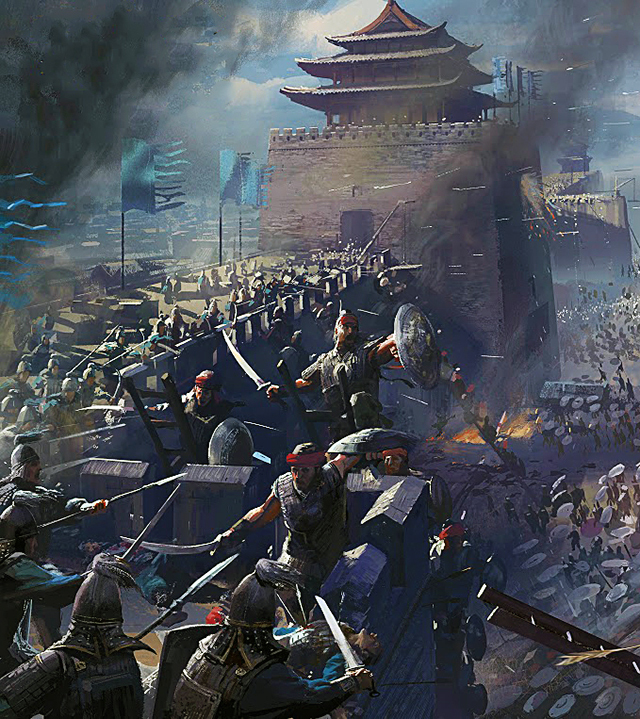 The gate tower at Deshengmen was 31.5 metres by 16.8 metres, with a height of 36 metres. The barbican was 70 metres by 118 metres, the second largest, after Zhengyangmen. The barbican had a sluice gate and an archway on the western side. Its Zhenwu (the Dark Warrior) temple was at the center of the northern side of the barbican, facing south. 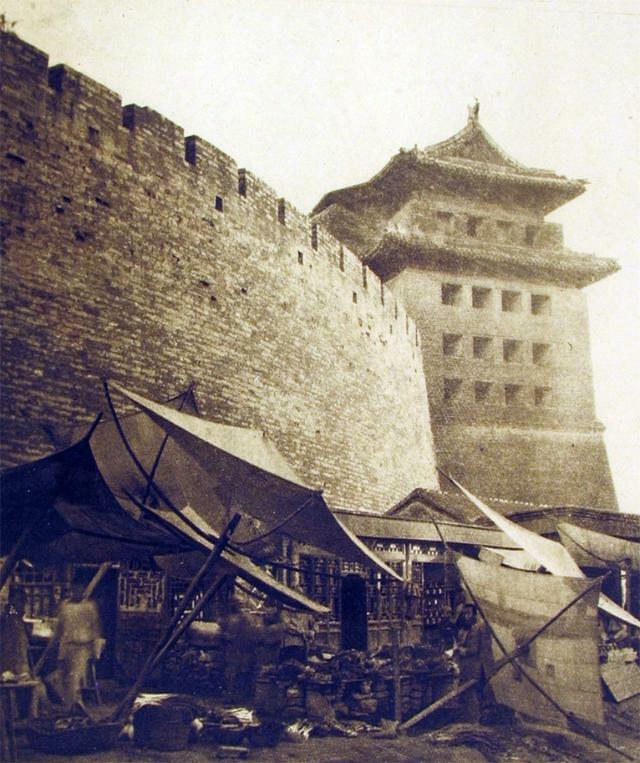 The original gate complex, -erected over the previous gate of Dadu was built in 1437 and modeled on the other gates of Ming Beijing, it composed of three structures – the gatehouse, archery tower, and barbican. They overlook the northern city moat, today only the archery tower and the barbican survives. 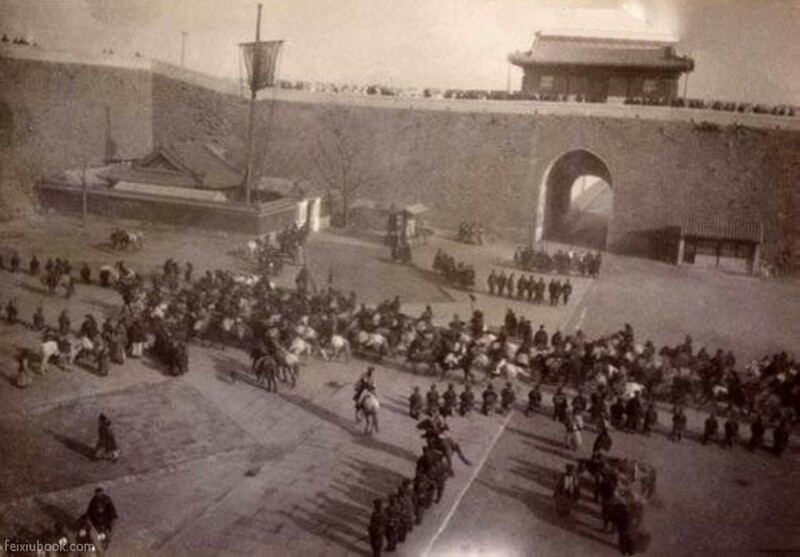 Like many of the gates in Beijing it was staffed by hundreds of guards and ringed with cannons on its ramparts. A temple and a court along with several supply depots are located within Desheng Gate. The barbican was dismantled in 1915. In 1921 the gate tower was dismantled and in 1955 the gate tower platform was dismantled. A proposal was made in 1979 to dismantle of the watchtower, but it was kept intact. 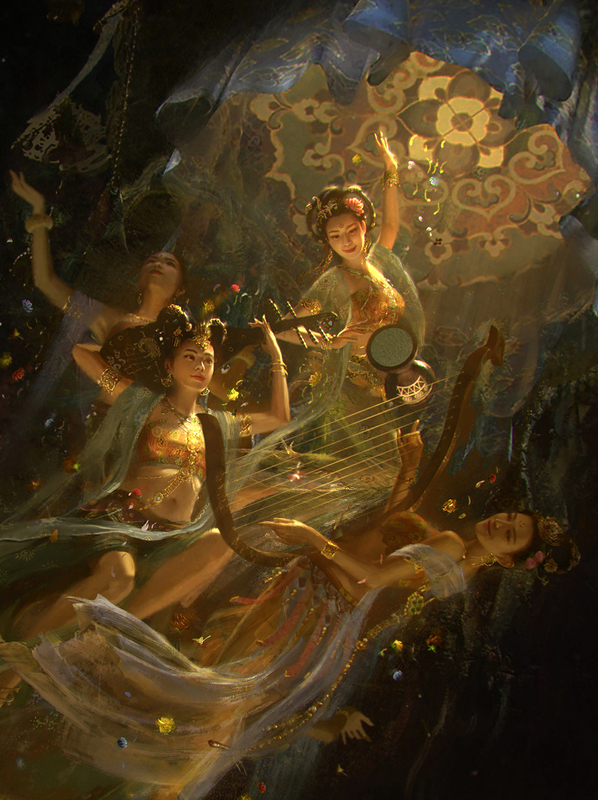 Xizhimen (西直門 lit. 'Western Upright Gate') was located on the northern section of the Inner city western wall. This inner city gate functioned as the Gate of Water. Mineral water for emperors was fetched from a spring outside Beijing and sent to the palaces through this gate before sunrise. 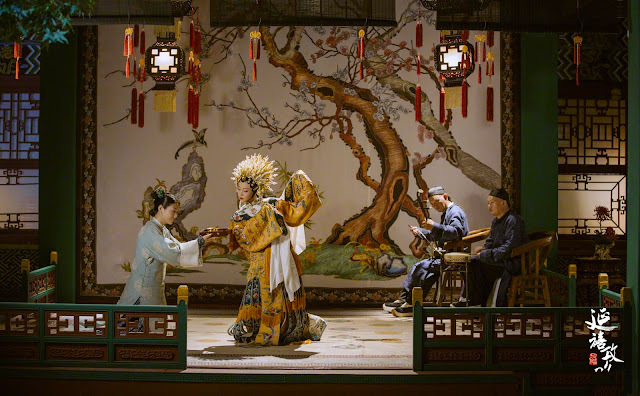 Due to the poor water supply within Beijing, the Imperial family and wealthy families would get their water from springs on Mount Yuquan in the northwestern suburbs. Every morning, carts carrying spring water would enter the city through Xizhimen. Thus, a symbol of water was engraved on the barbican gate archway of Xizhimen. 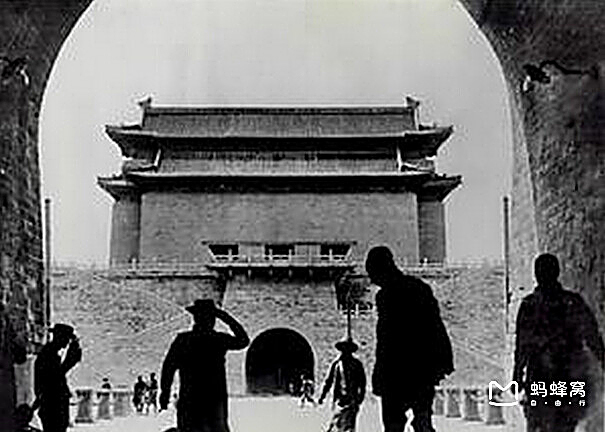 Xizhimen, the last gate to remain fully intact, was completely dismantled in 1969. During demolition, workers discovered that parts of the barbican gate's archway were the originals from the 13th century. Fuchengmen (阜成門 lit. 'Gate of Abundant Success') was located at the midpoint of the Inner city western wall. 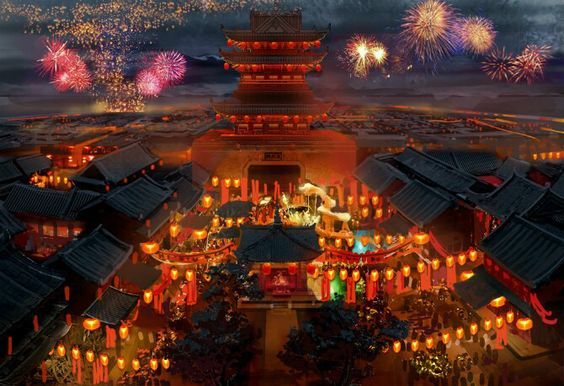 Originally the site of the Pingzemen (平則門) gate of the Yuan era, it was still informally known as Pingzemen by the commoners even after its name was changed. 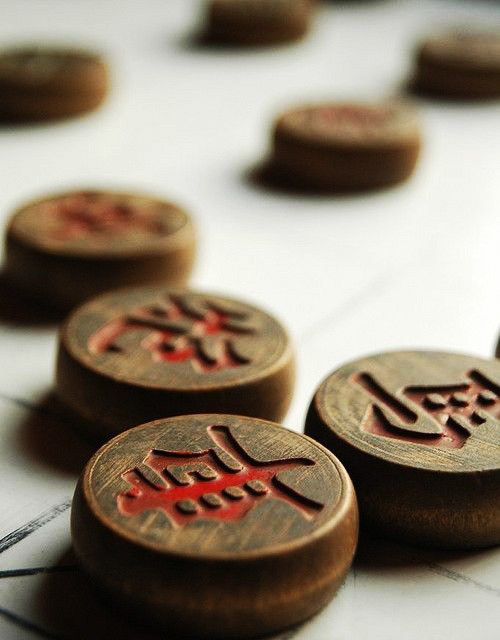 The new name, "Fucheng", came from the classic Shàngshū, "六卿分职各率其属，以成九牧，阜成兆民". The gate was repaired in 1382 and completely rebuilt in 1435. 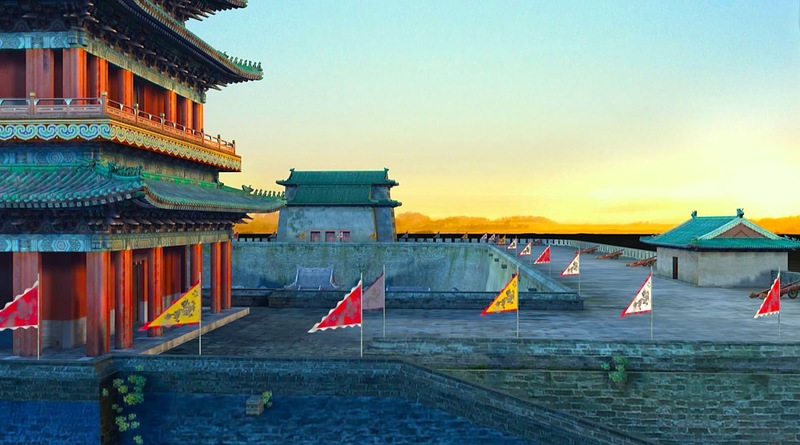 Its gate tower and watchtower were similar to those at Chaoyangmen. The gate tower was 31.2 metres by 16 metres and 30 metres high. The barbican was 74 metres by 65 metres, with a sluice gate and an archway on its northern side. The Guandi temple was located on the northeastern corner of the barbican, facing south. The sluice gate tower and watchtower were dismantled in 1935. The barbican and watchtower platform were dismantled in 1953, and the gate tower in 1965. Due to its proximity to the Western Hills and the coal reserves at Mentougou District, carts carrying coal would enter the city through Fuchengmen. The barbican gate archway had an engraving of a plum flower (plum flower "梅 Mei" and coal "煤 Mei" are homophones in Chinese. 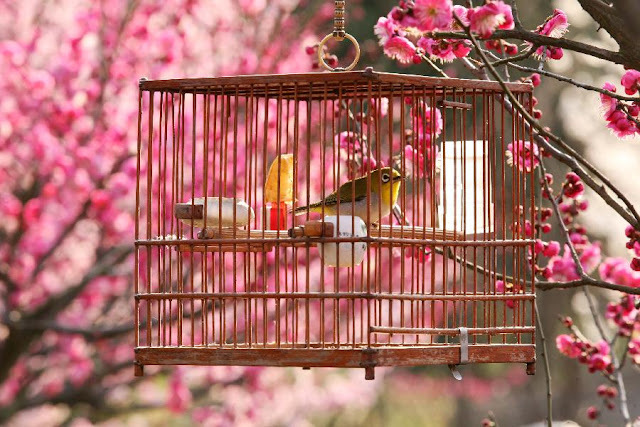 Also, the plum trees near Fuchengmen blossom in spring, around the time when coal was no longer needed and deliveries ceased). 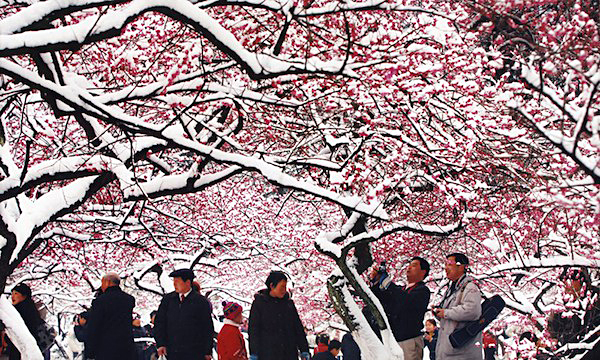 This gives rise to the old Beijing saying: "Fucheng's plum blossoms announce the arrival of the new spring's warmth". 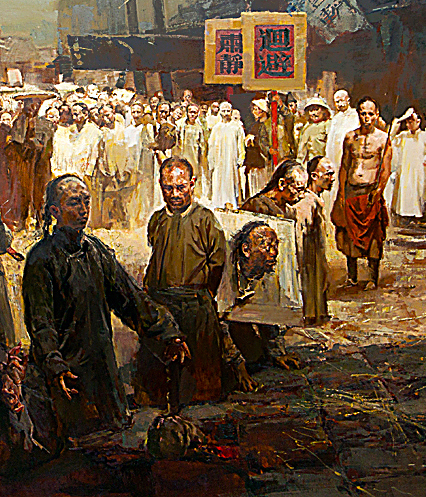 Fuchengmen is also informally referred to as "惊门 Jingmen", meaning "Justice".